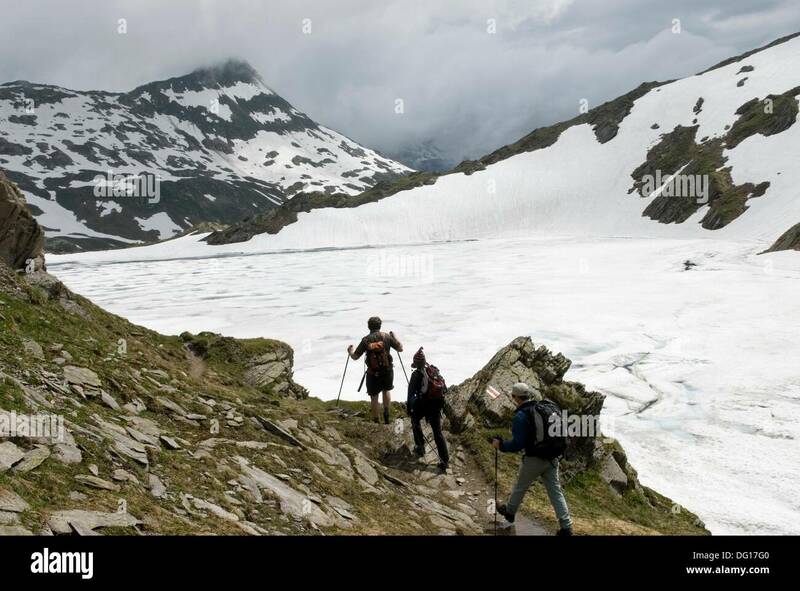 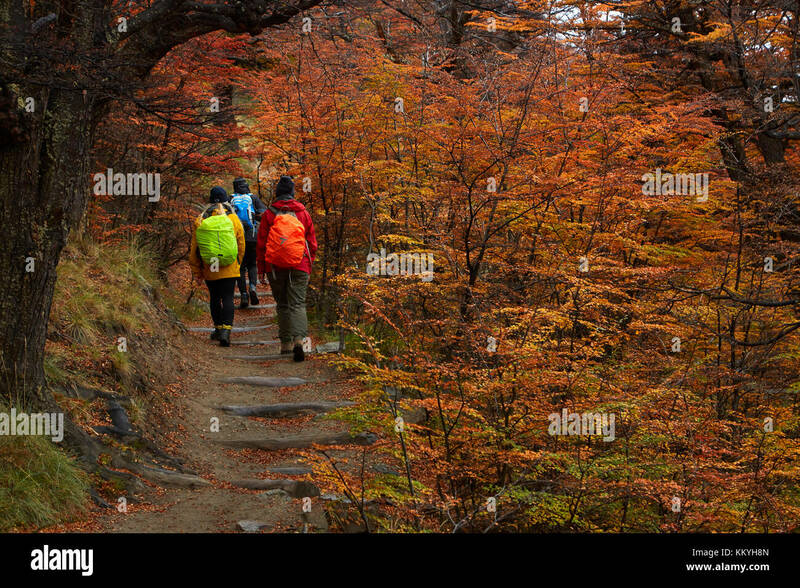 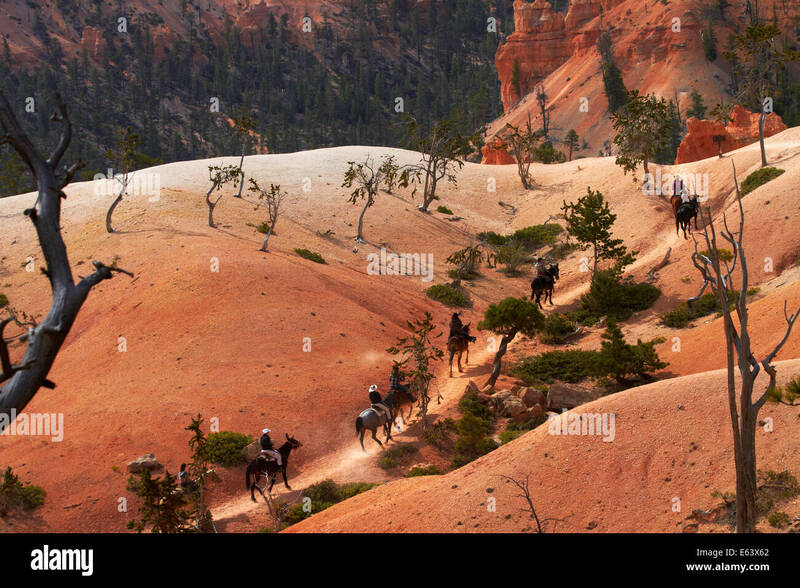 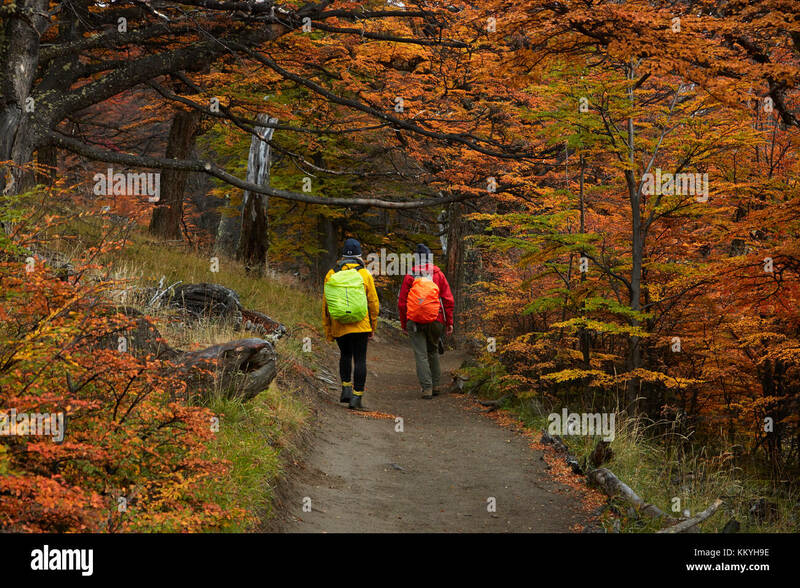 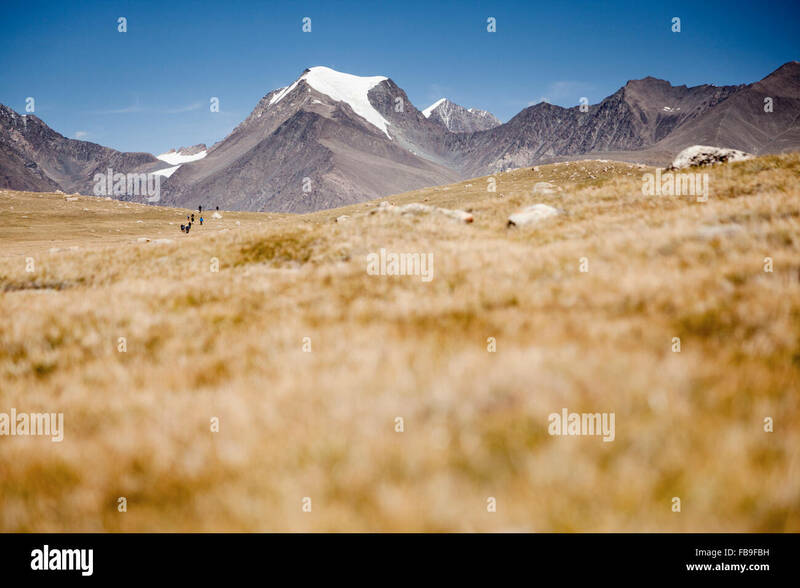 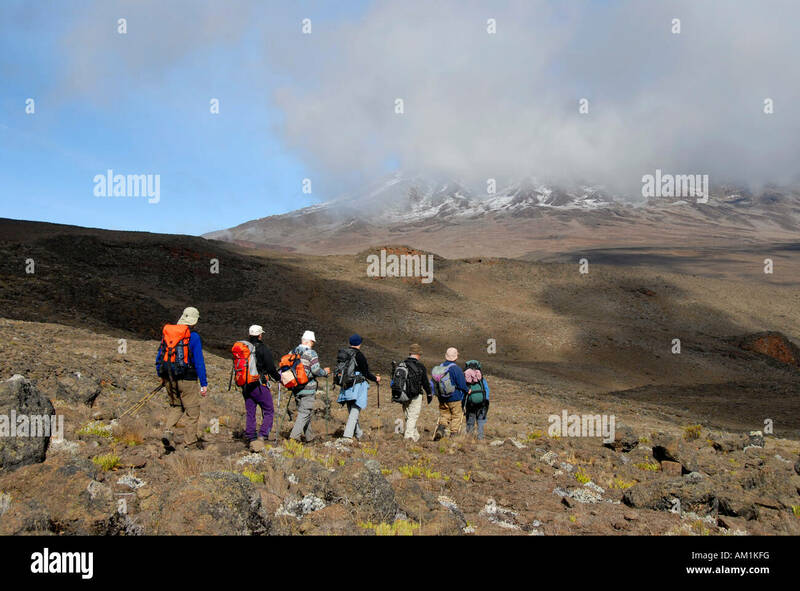 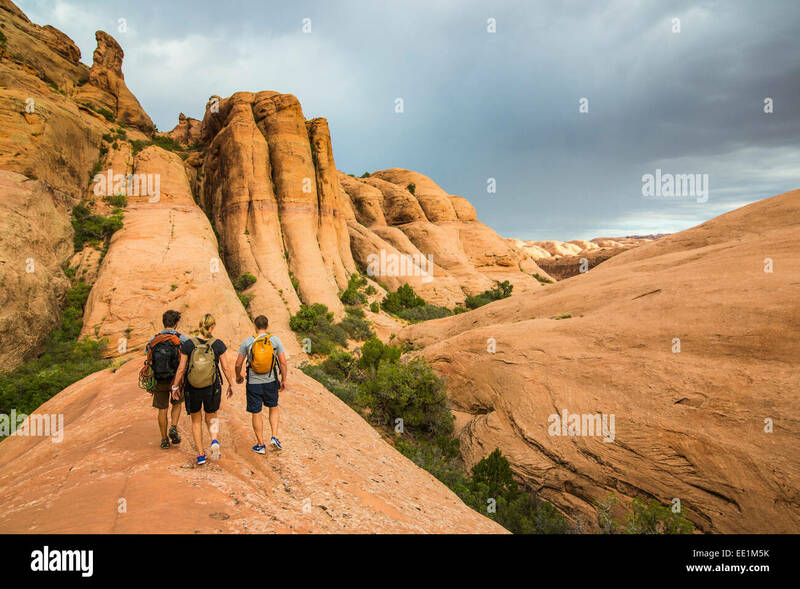 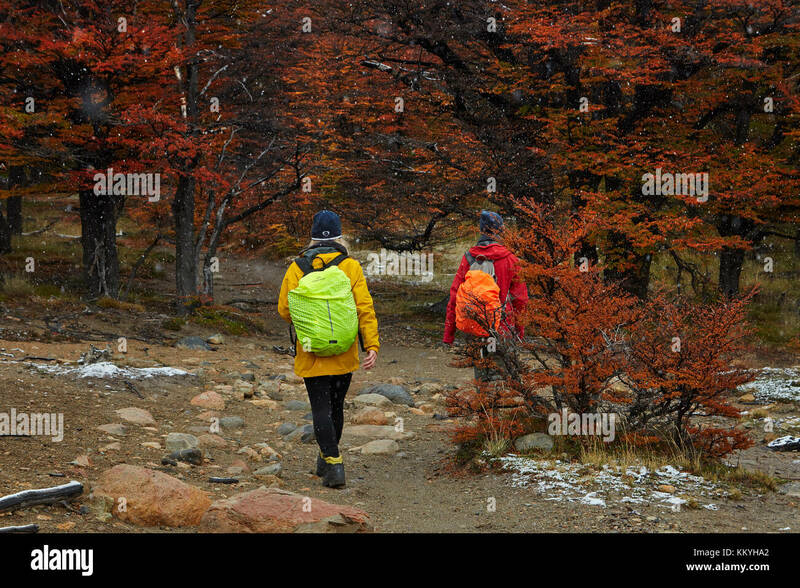 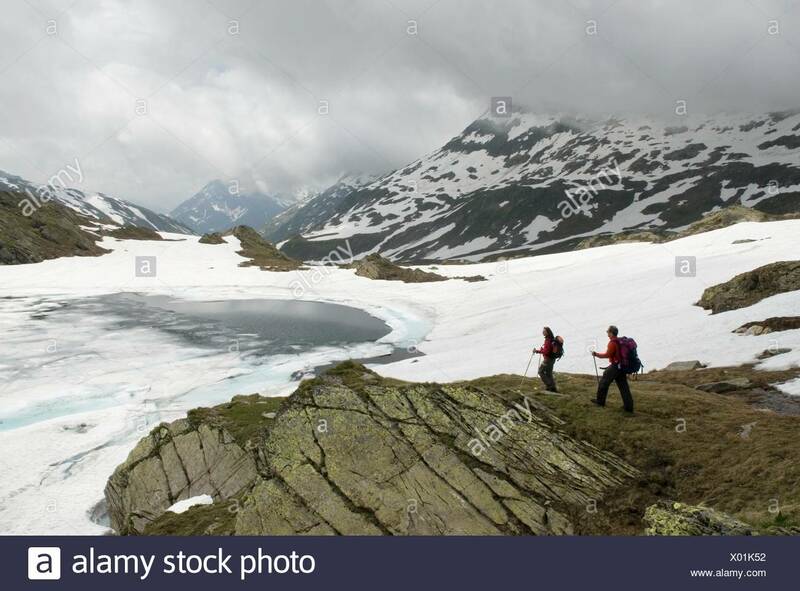 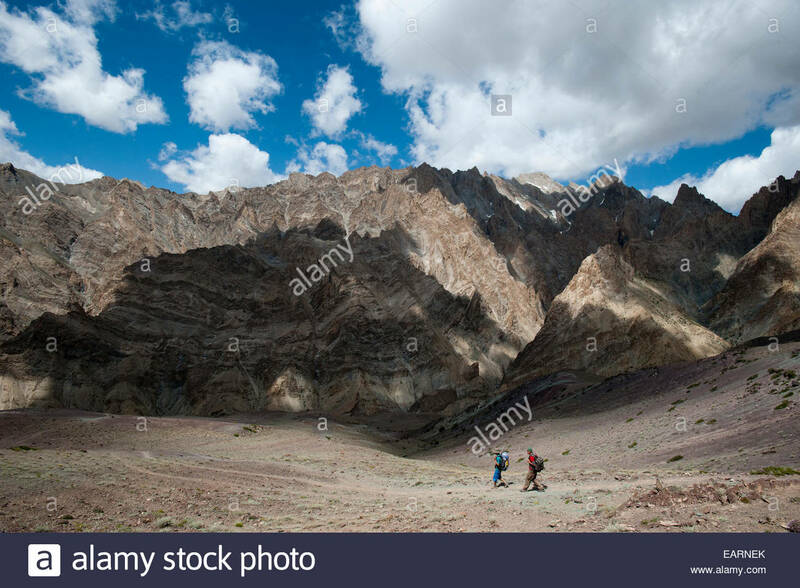 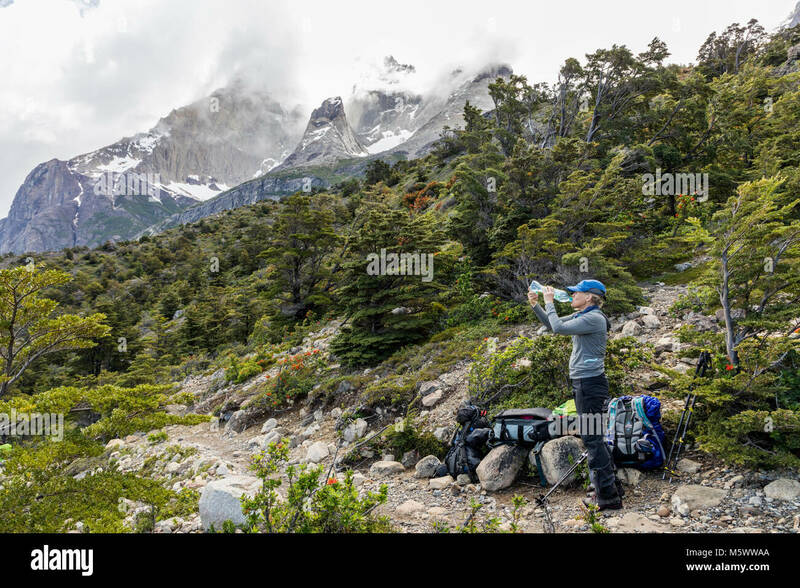 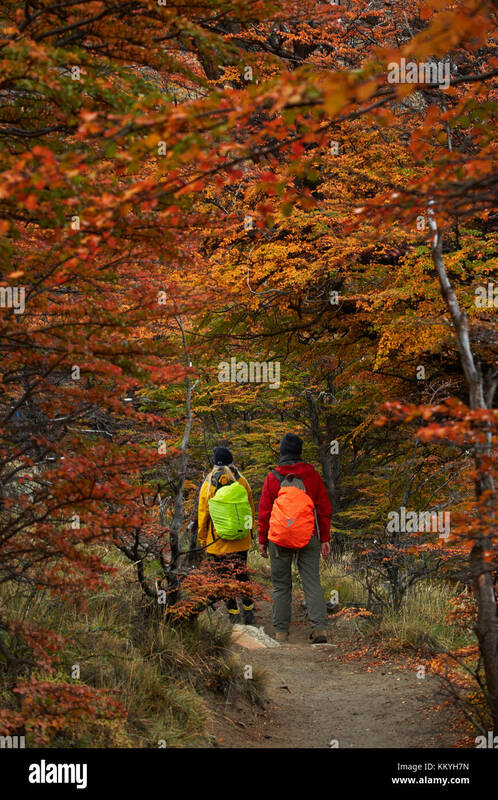 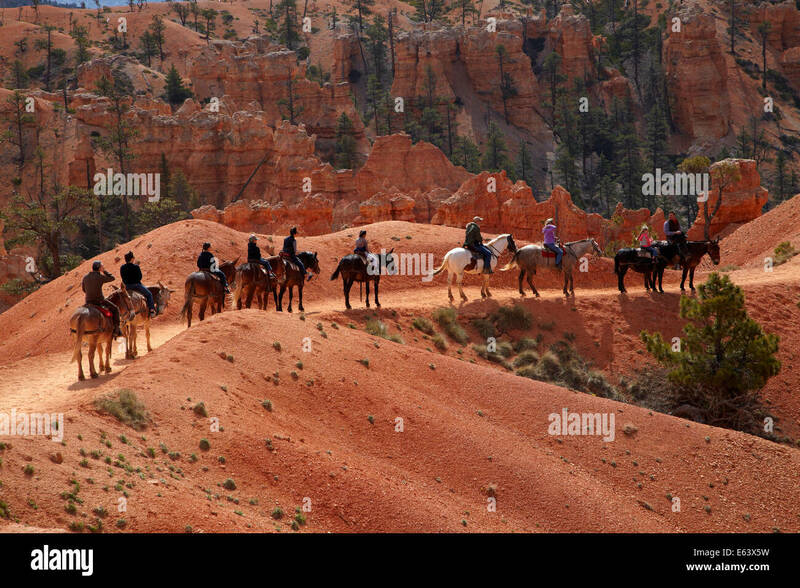 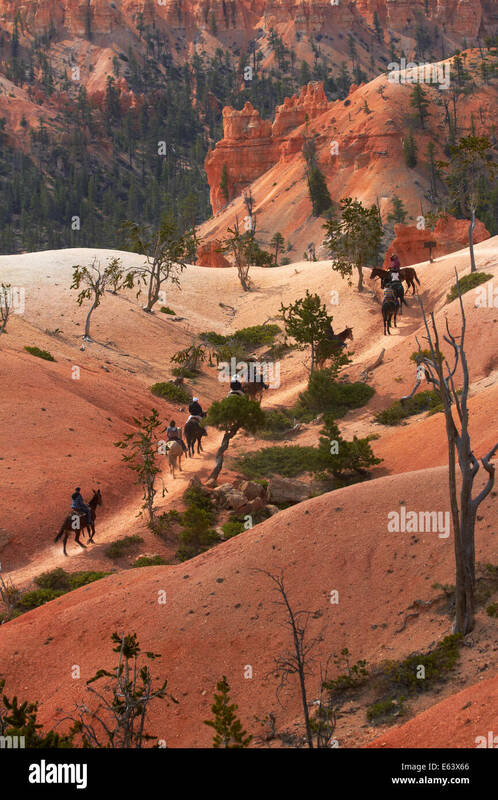 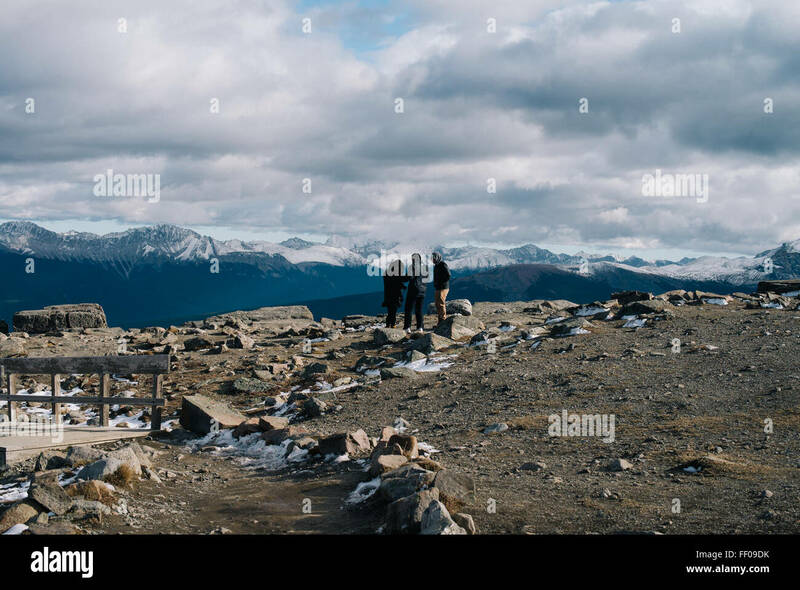 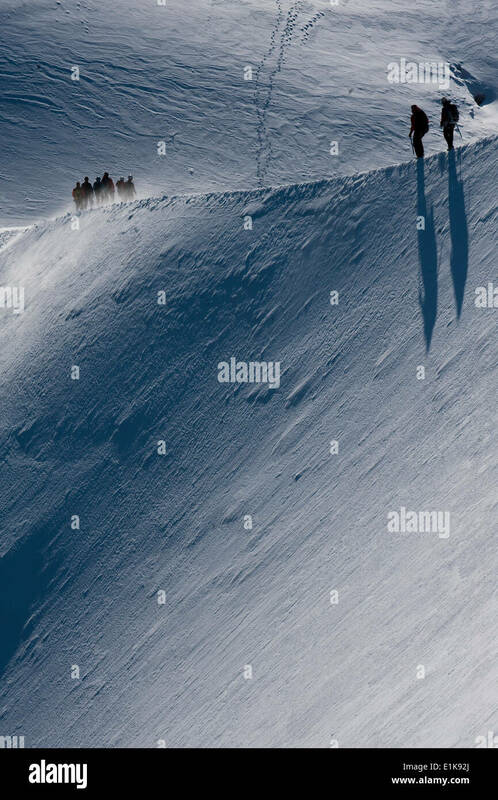 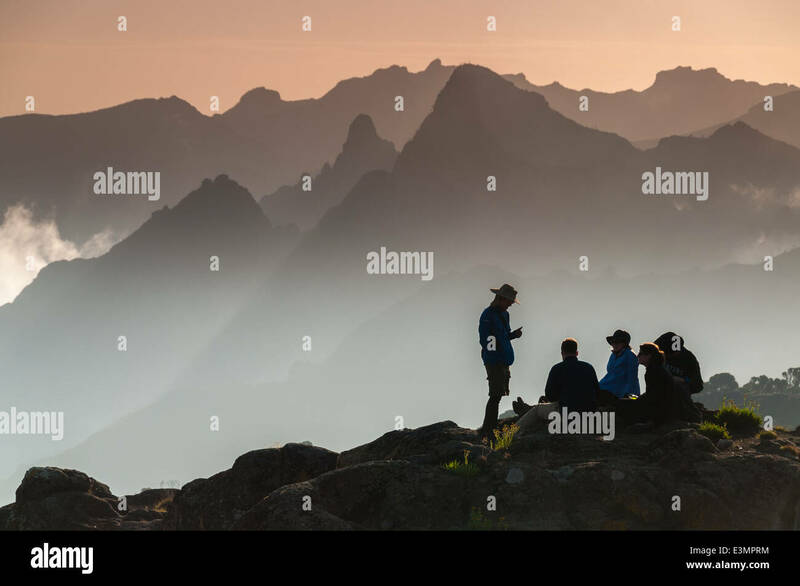 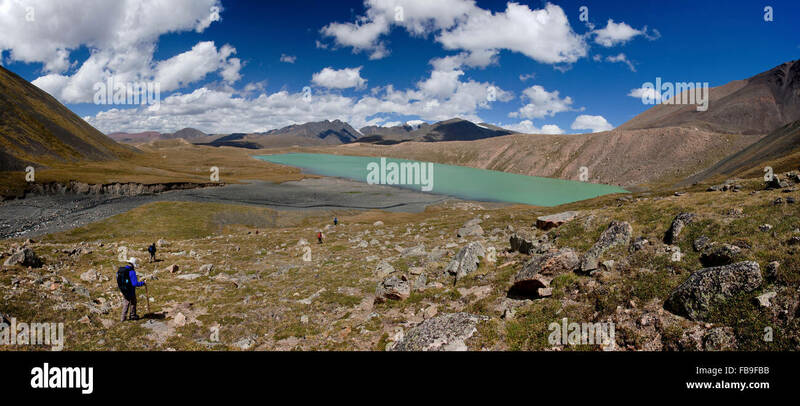 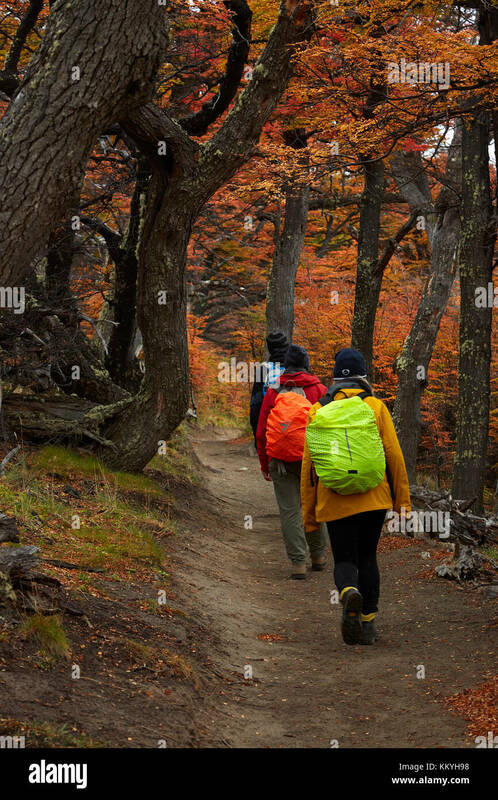 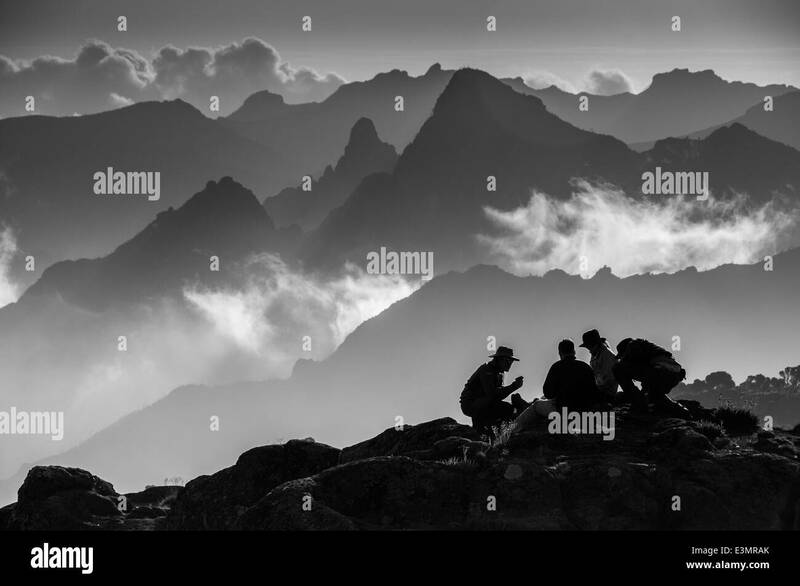 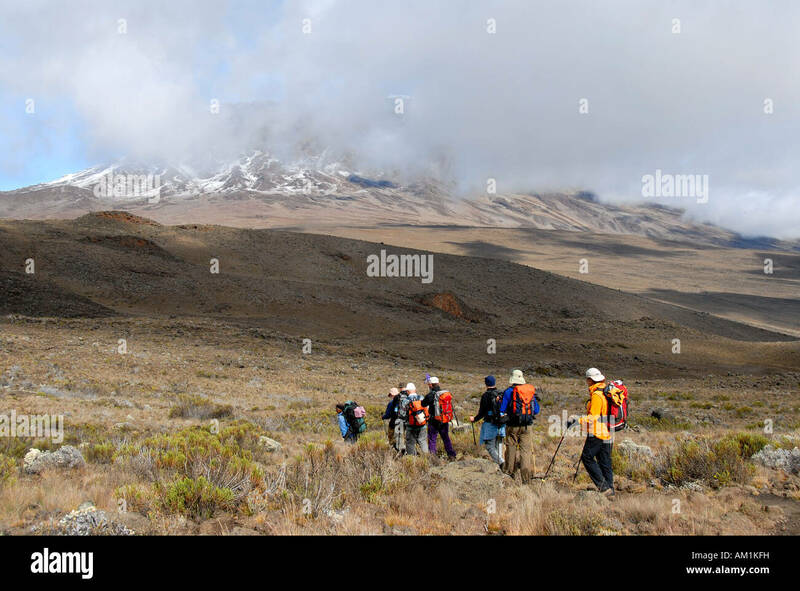 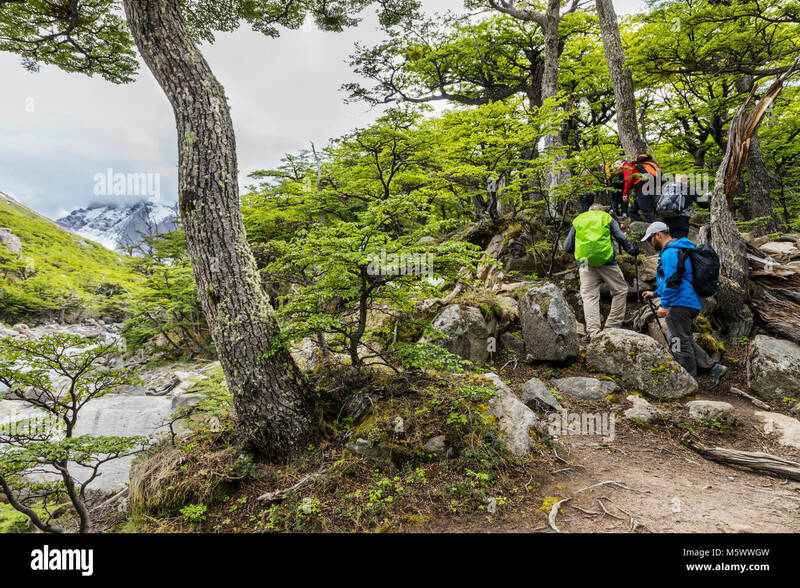 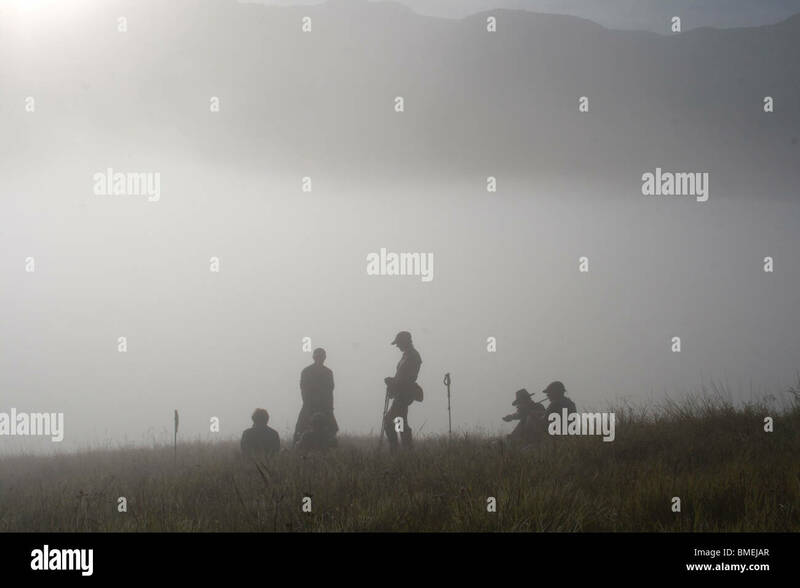 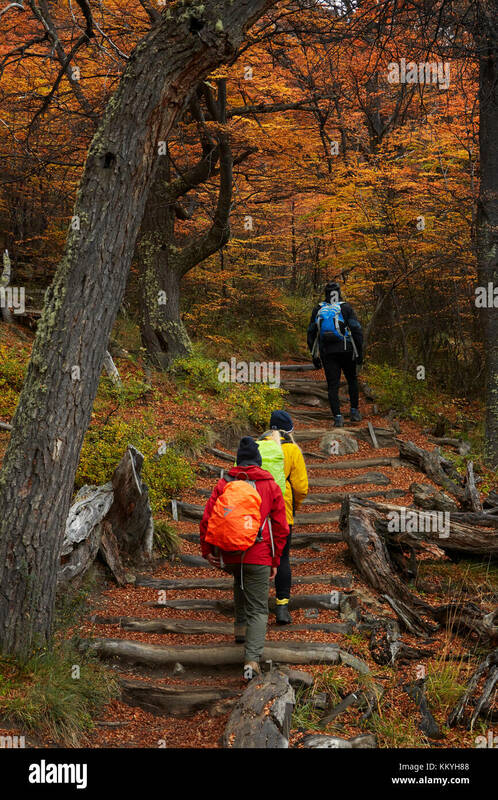 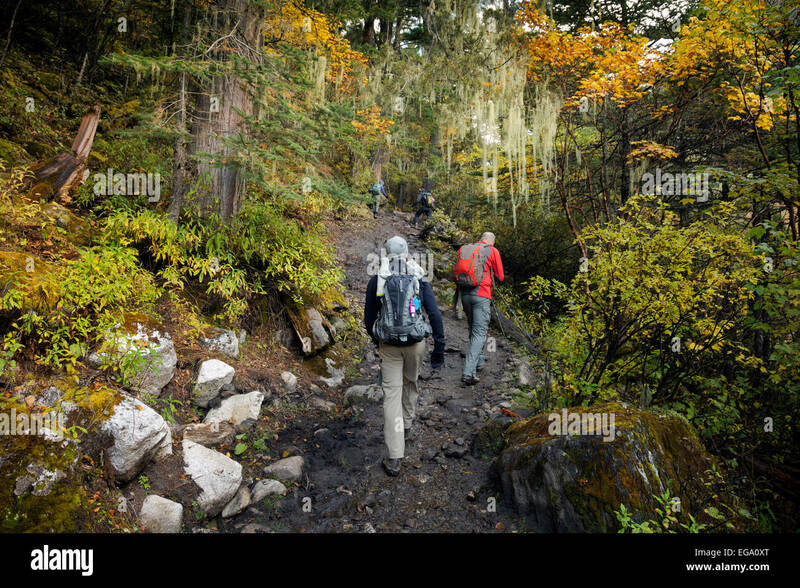 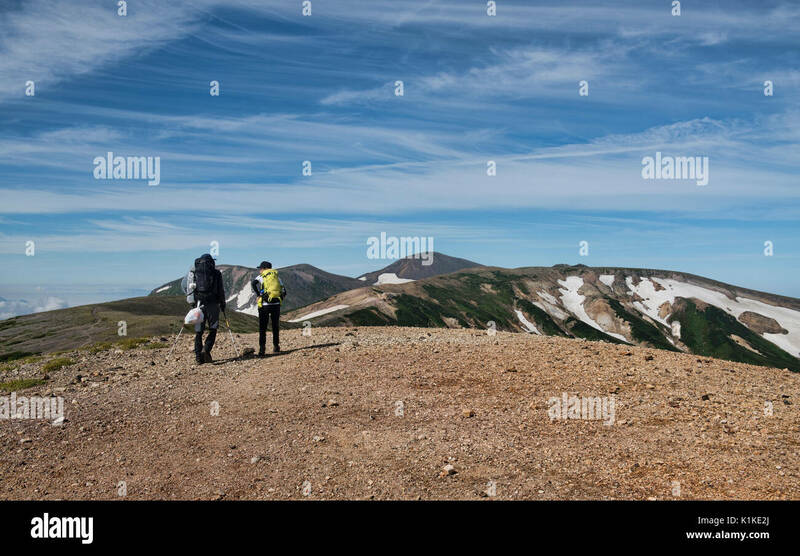 A group of hikers in the foothills of the Tien Shen Mountains in Kyrgyzstan. 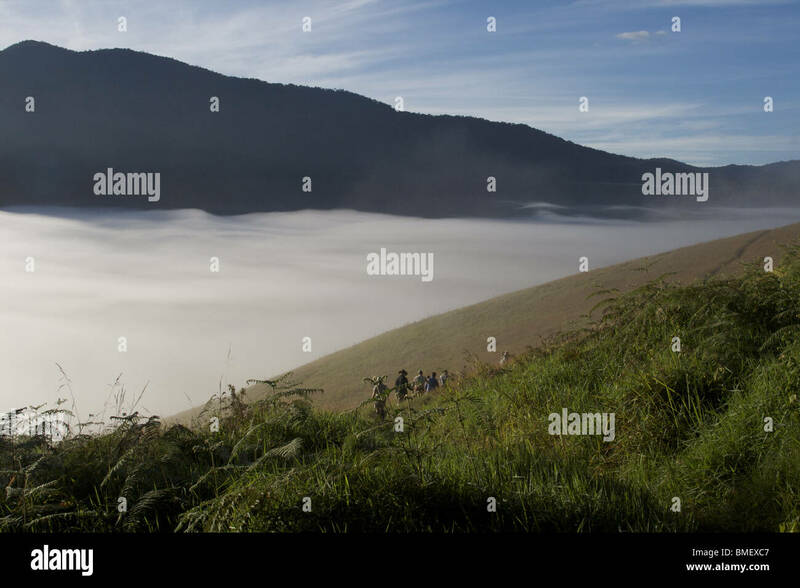 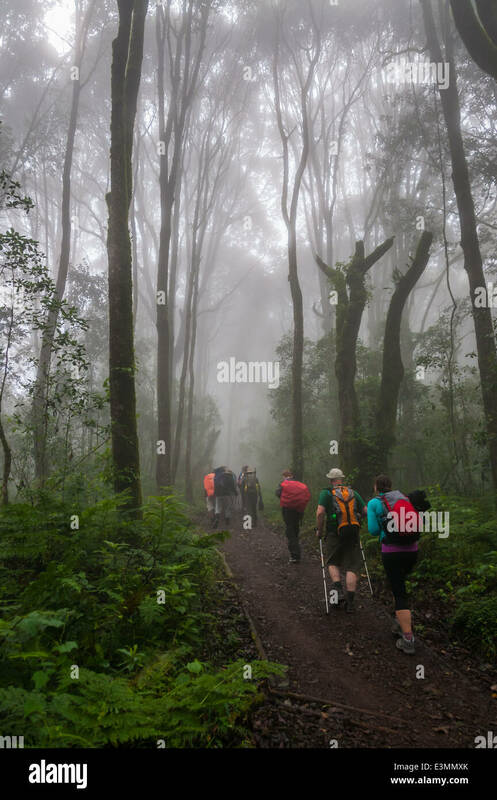 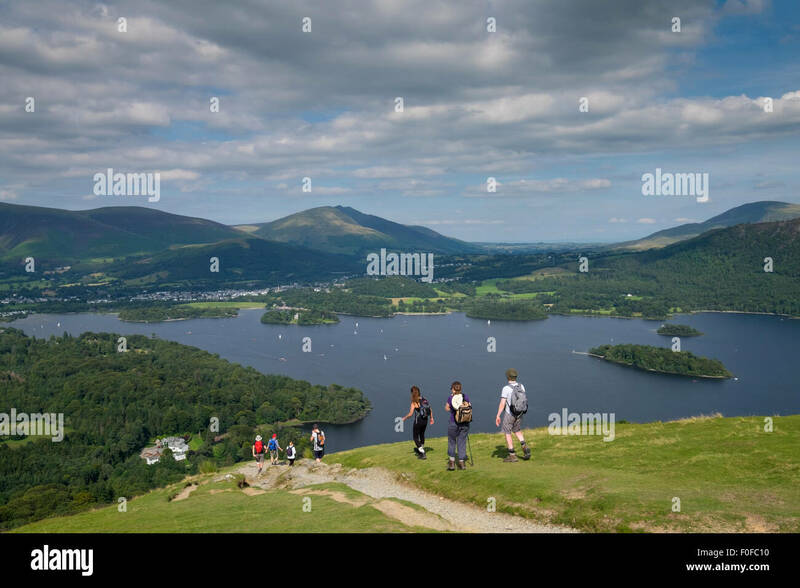 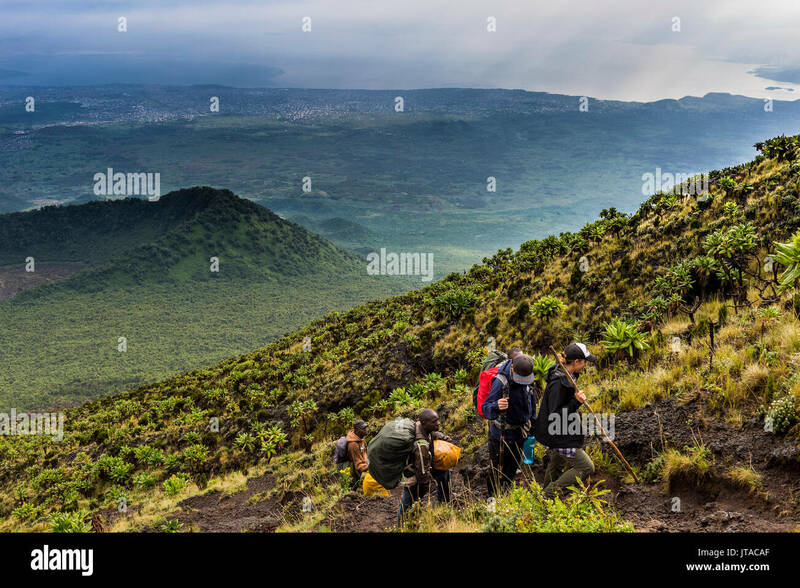 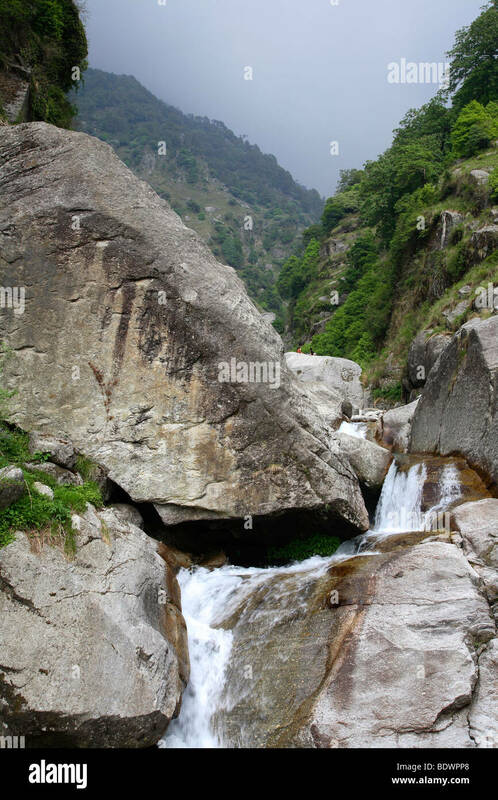 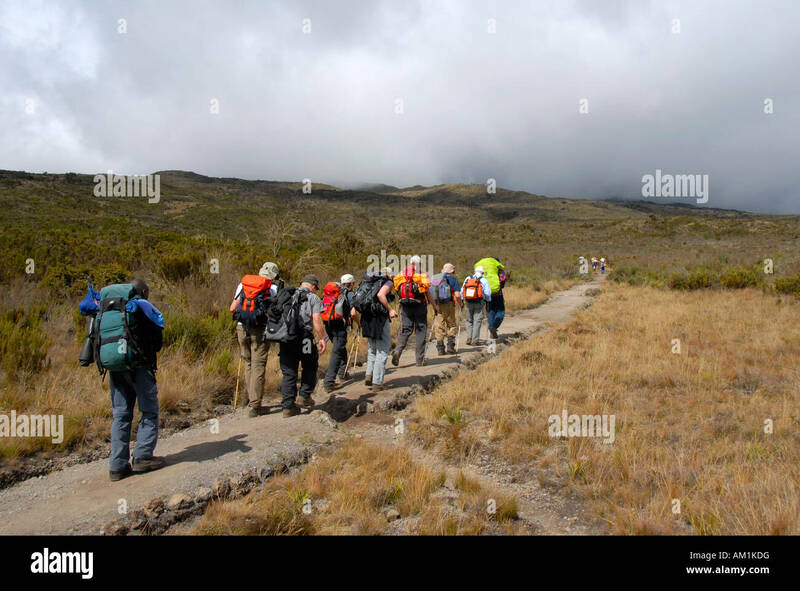 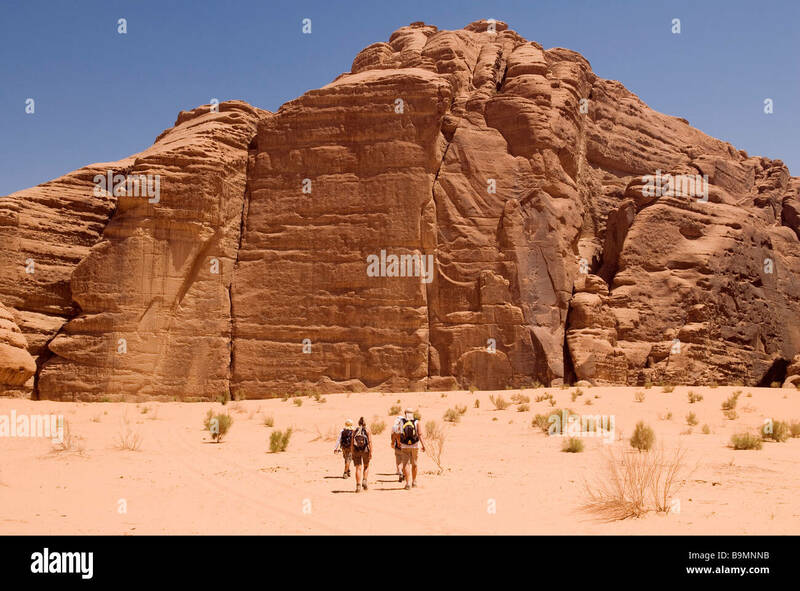 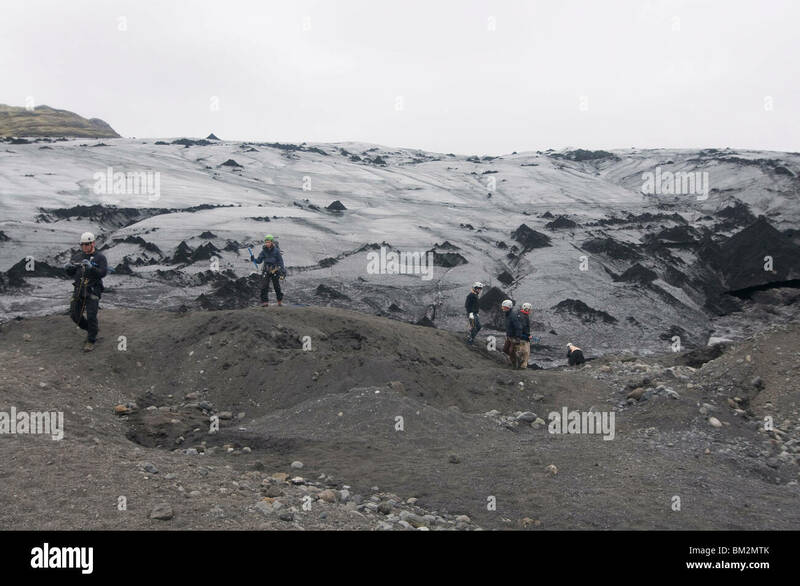 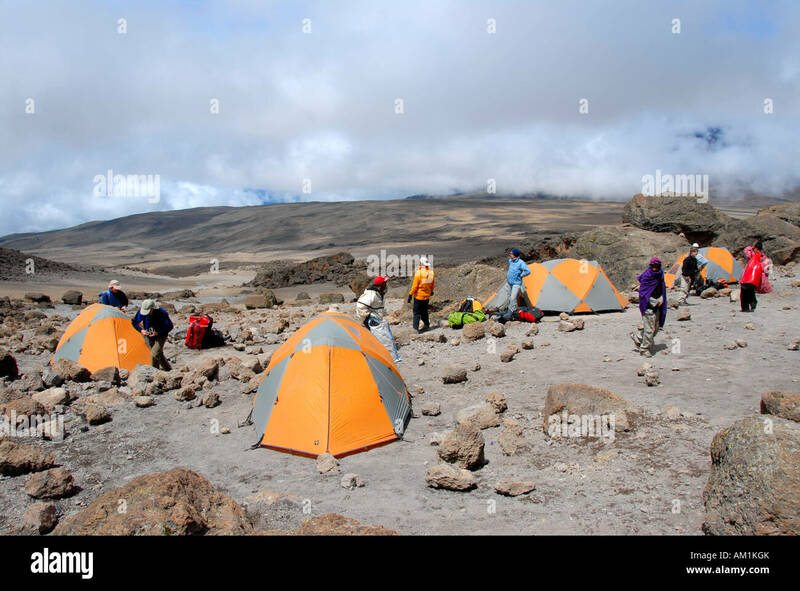 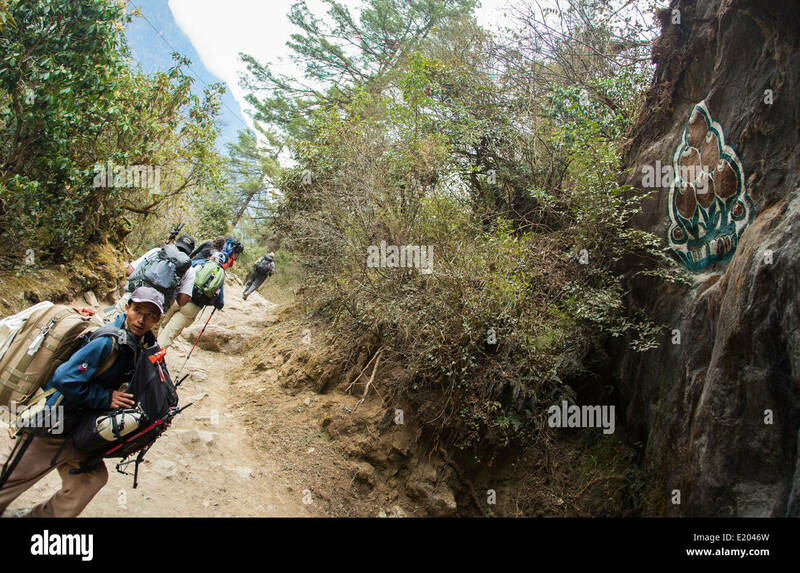 Trekkers descend from the Dung Dung La on the Hidden valleys trek. 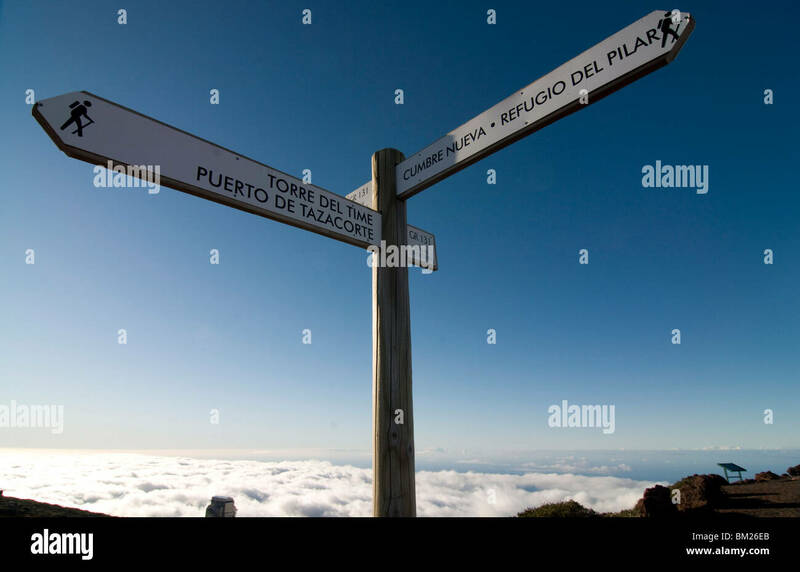 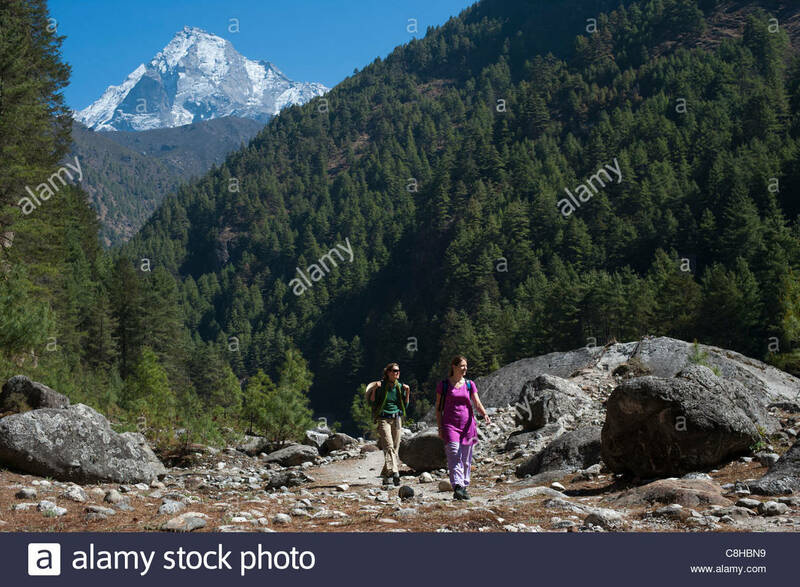 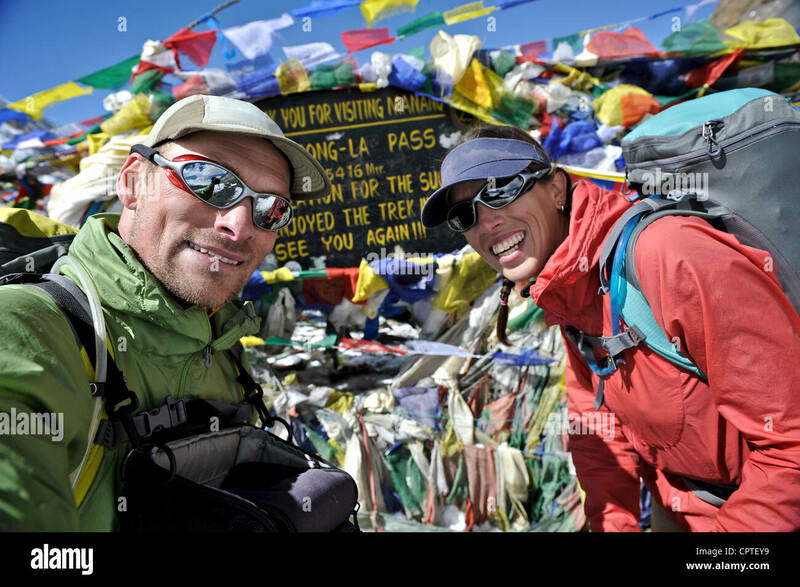 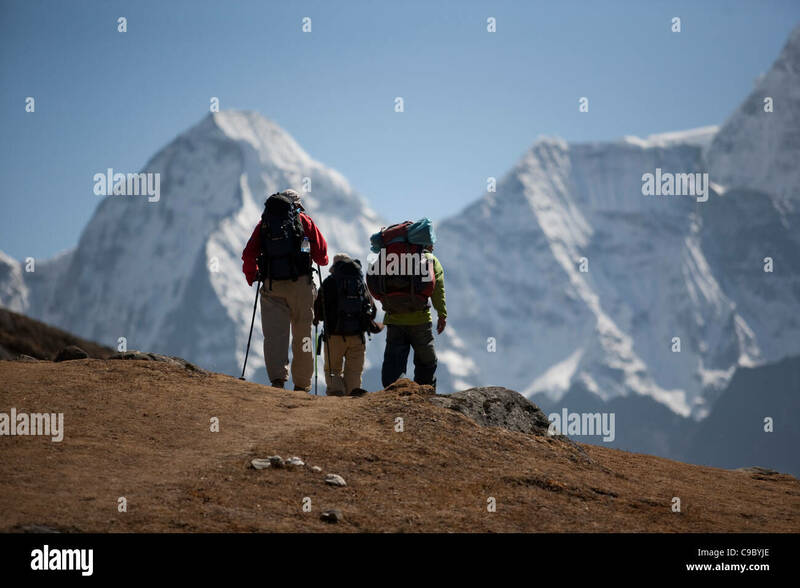 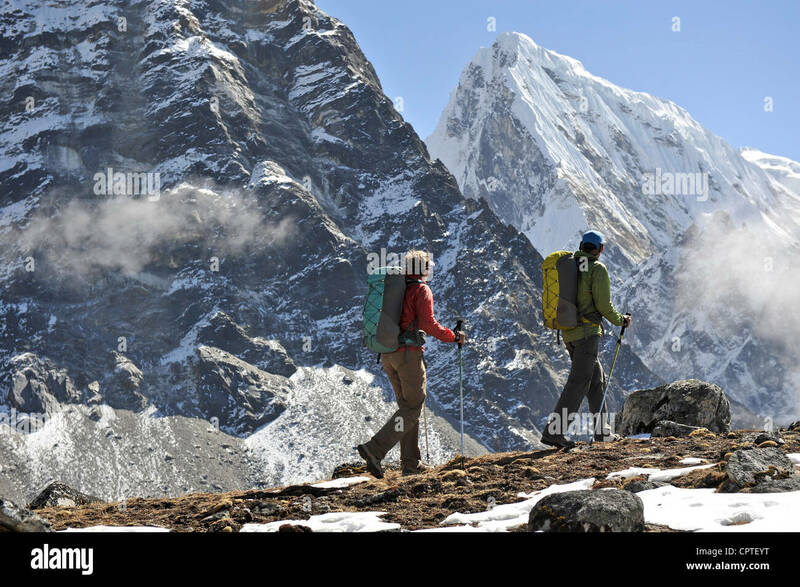 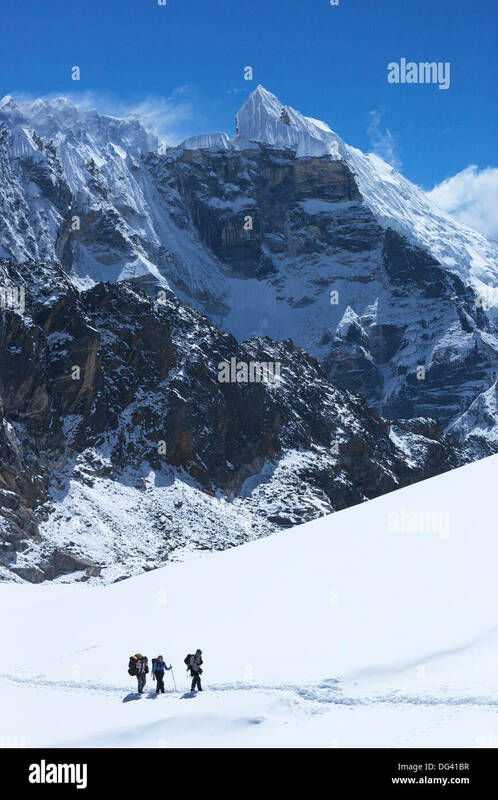 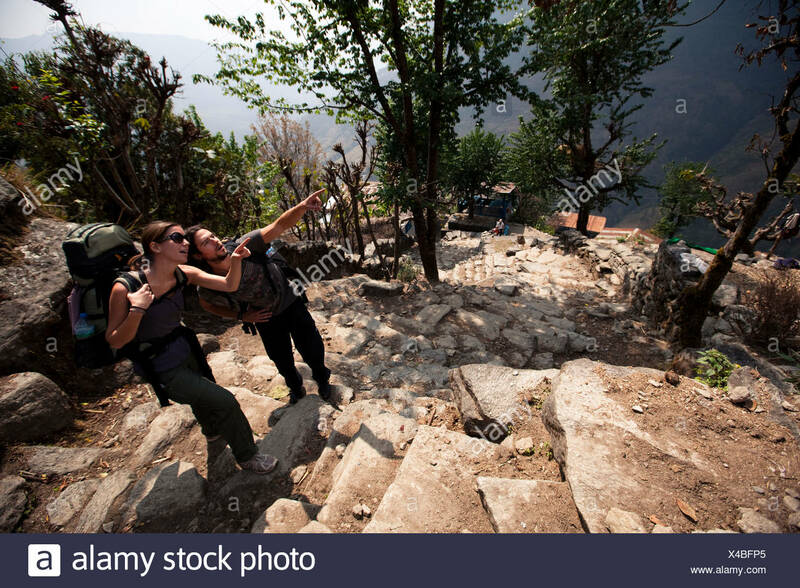 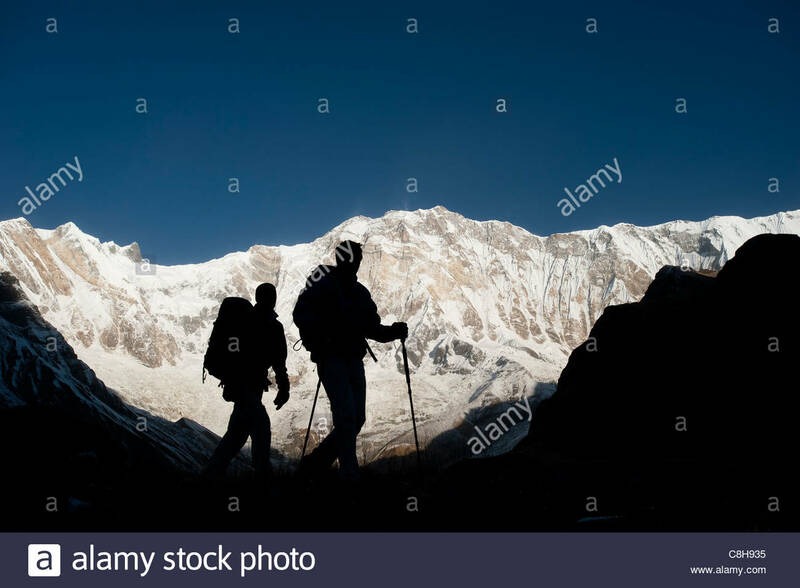 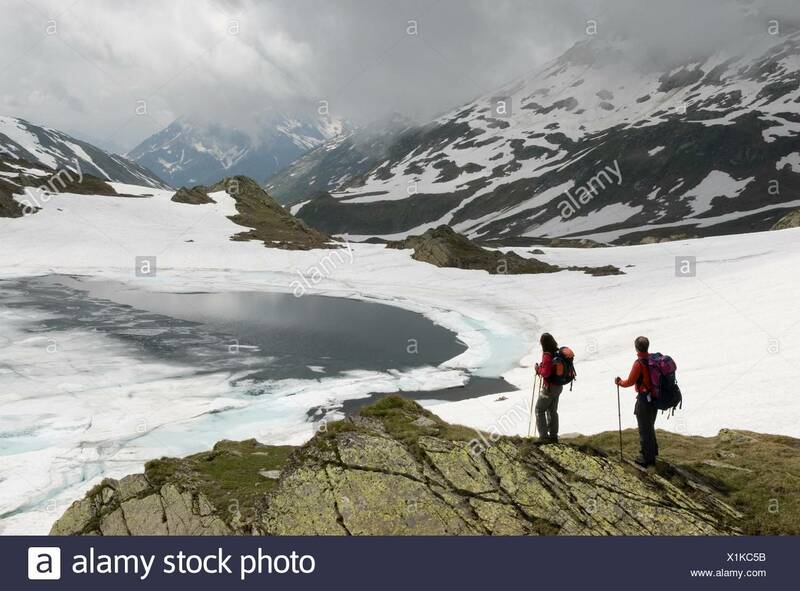 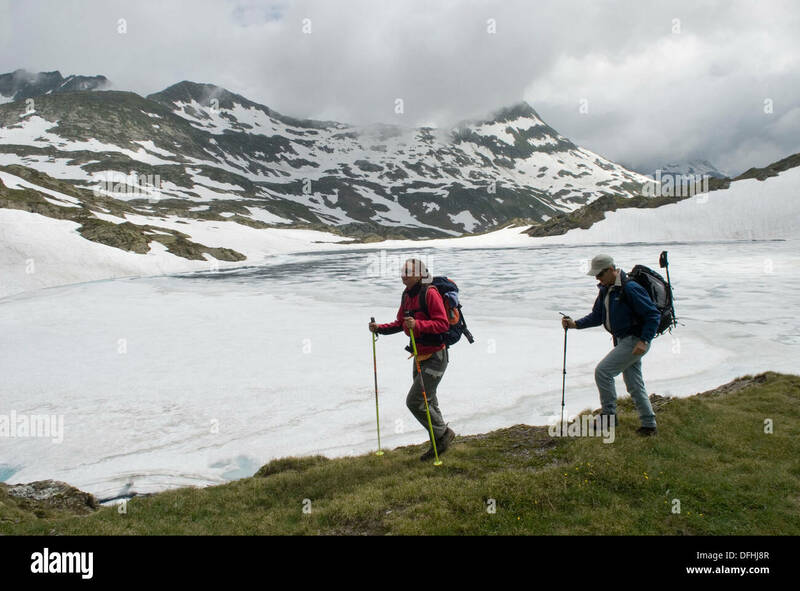 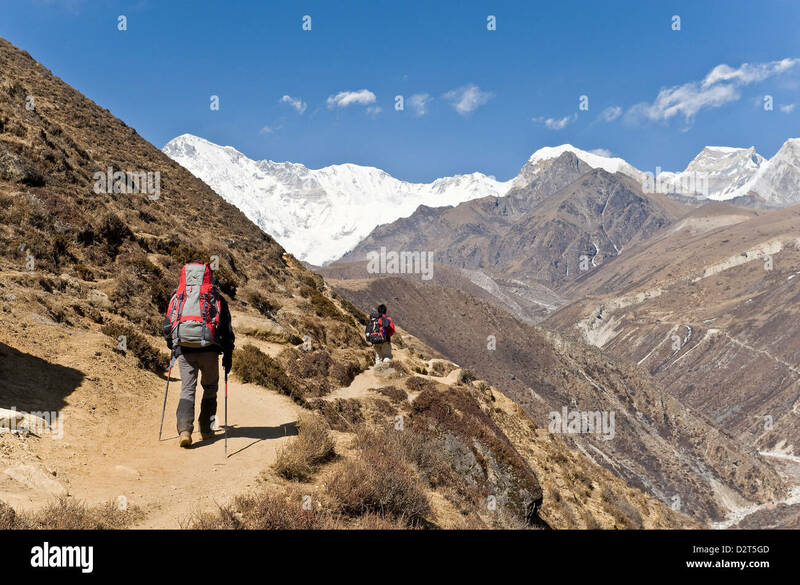 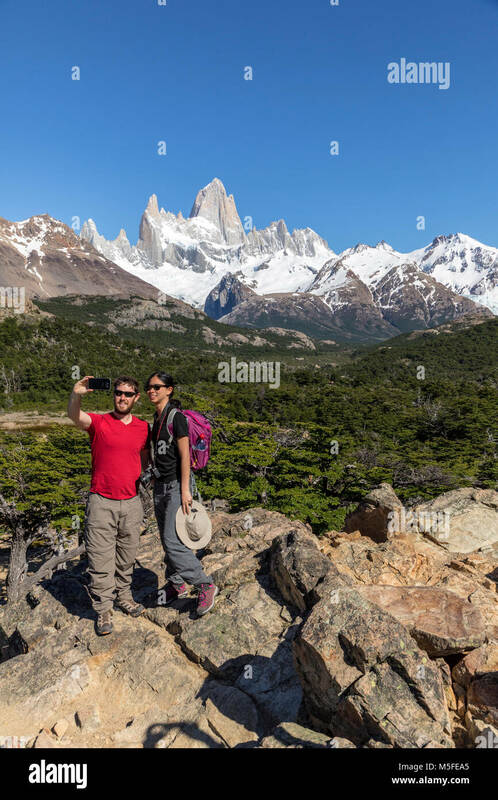 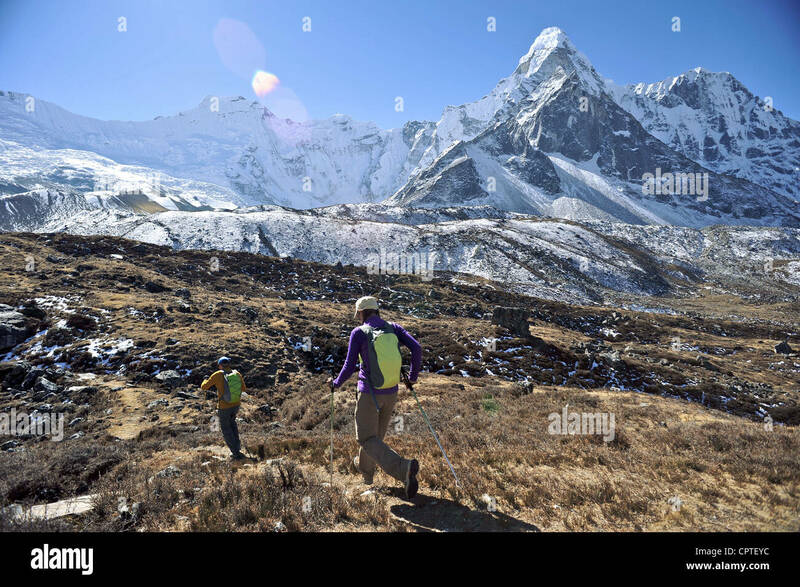 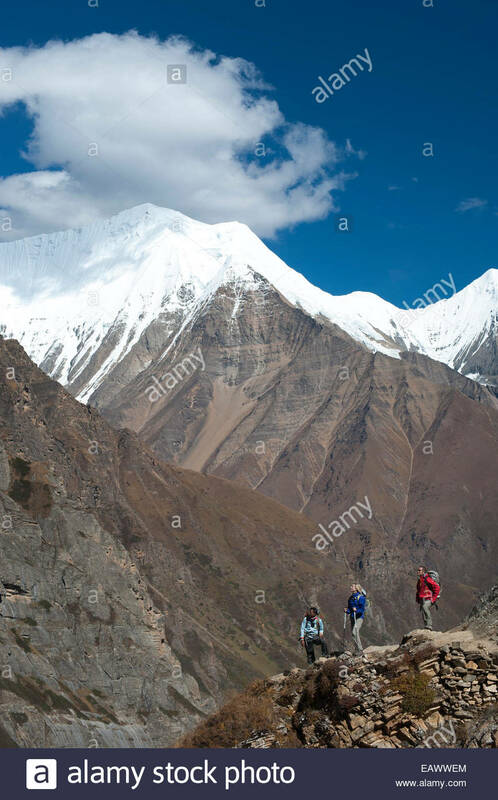 Two trekkers looking and pointing uphill in Nepal. 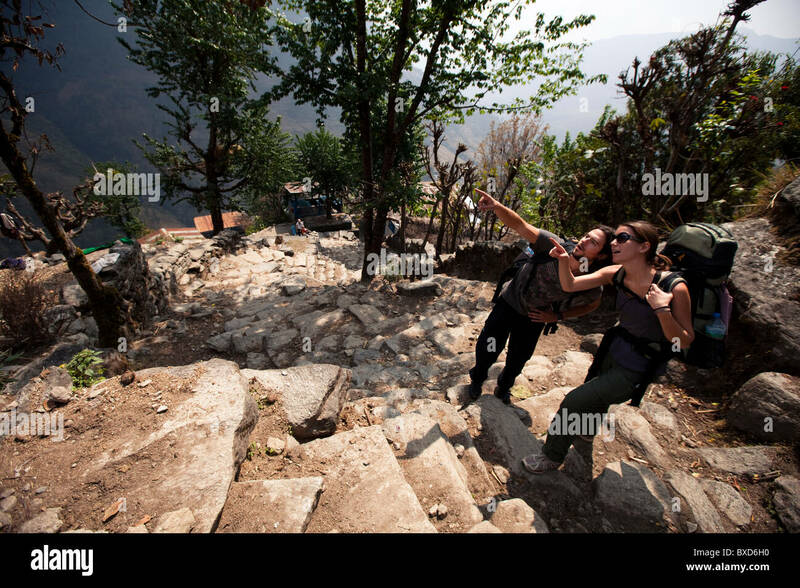 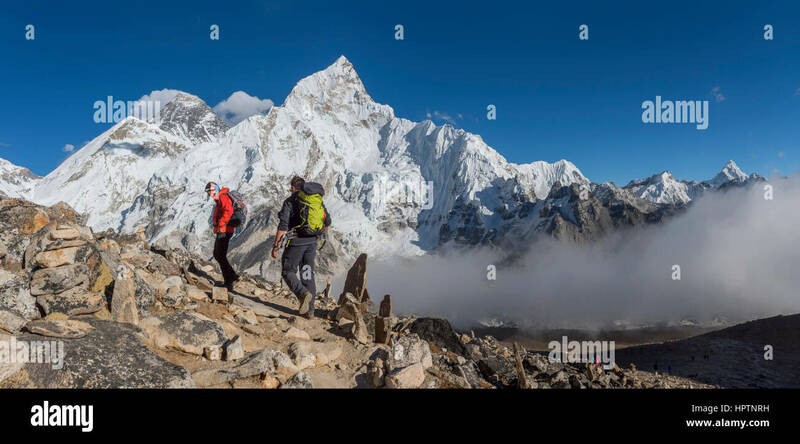 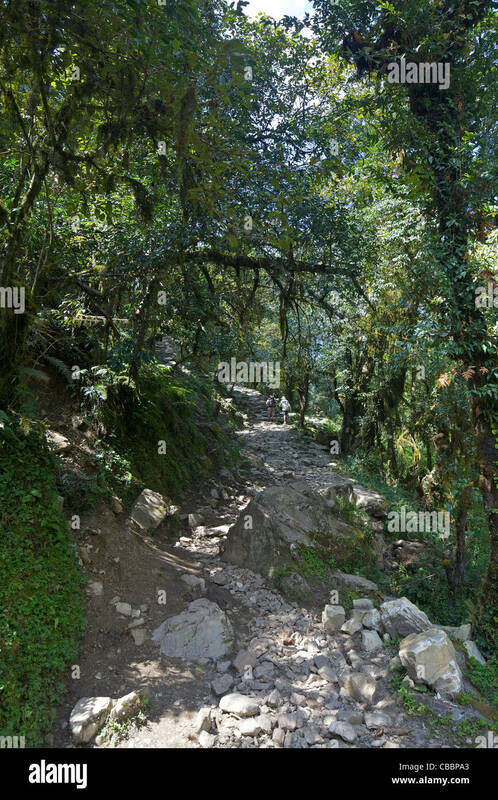 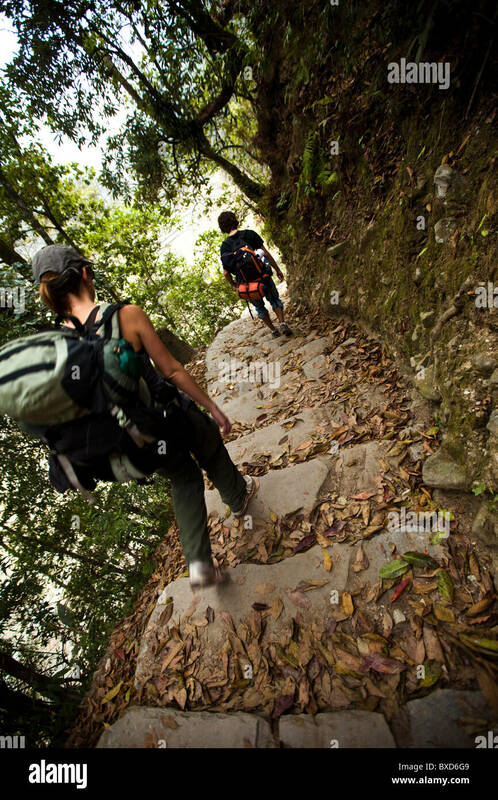 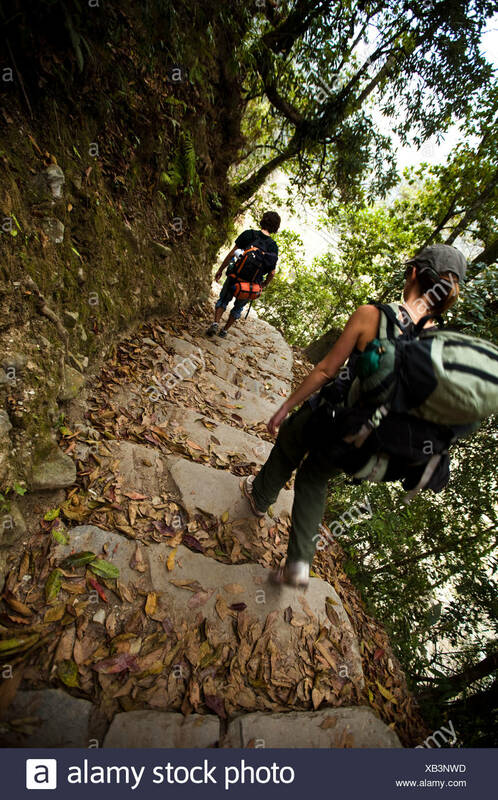 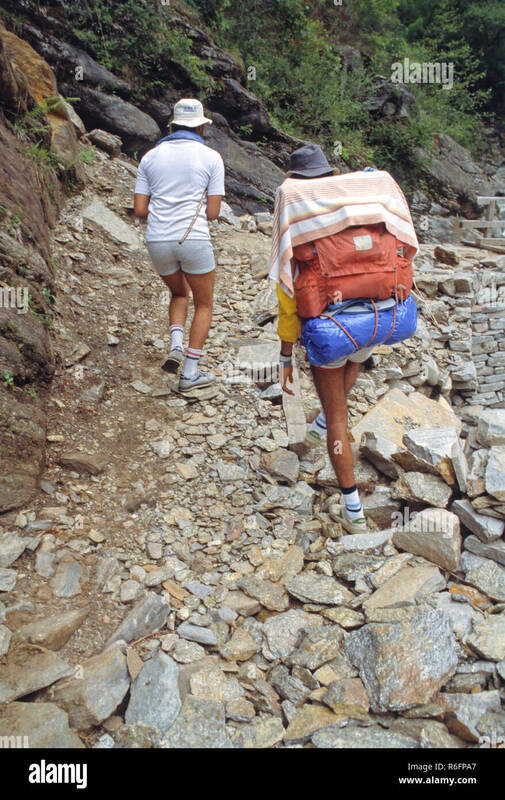 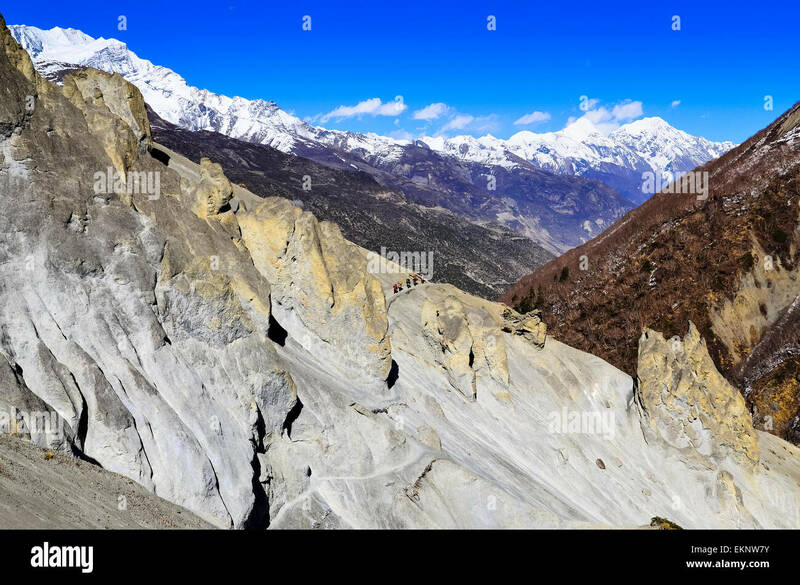 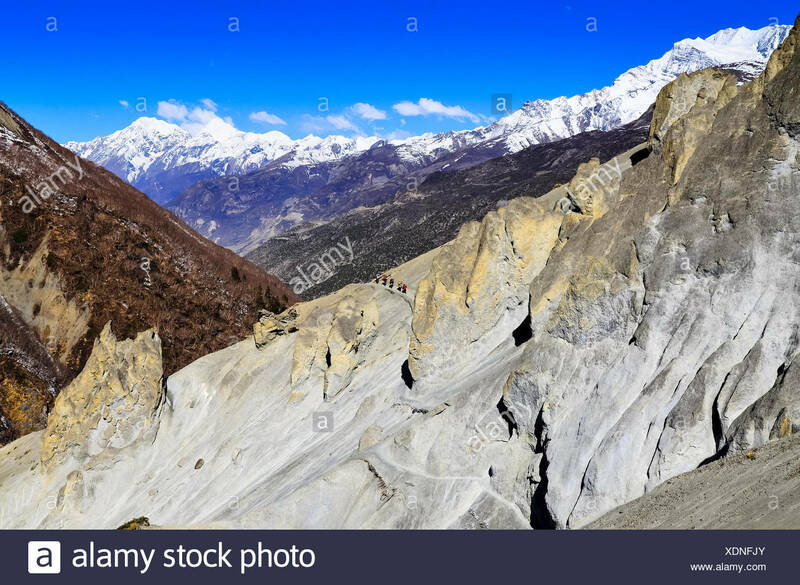 Two trekkers descending stone steps in Nepal. 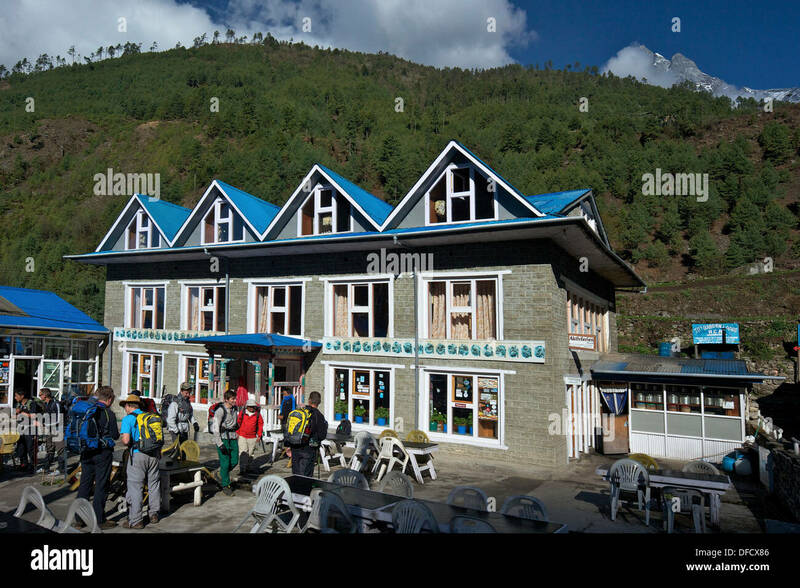 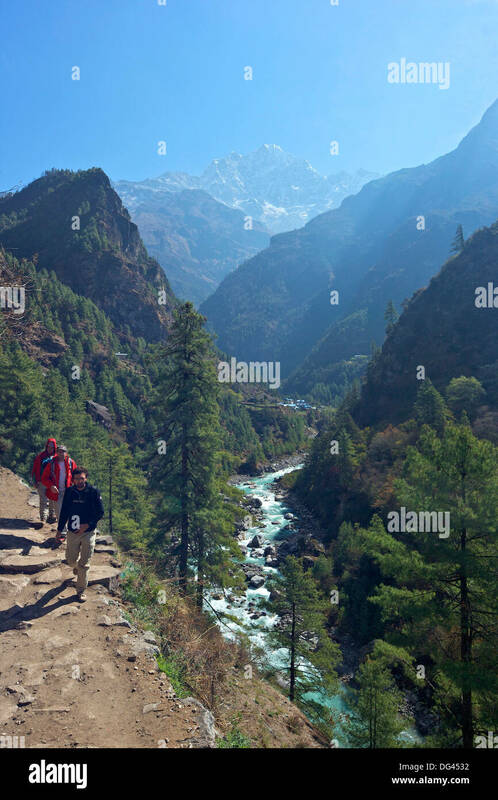 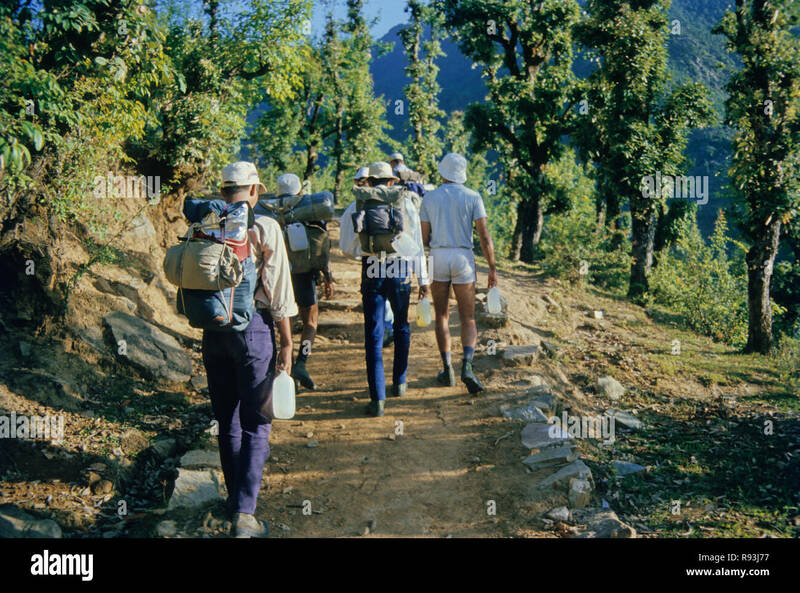 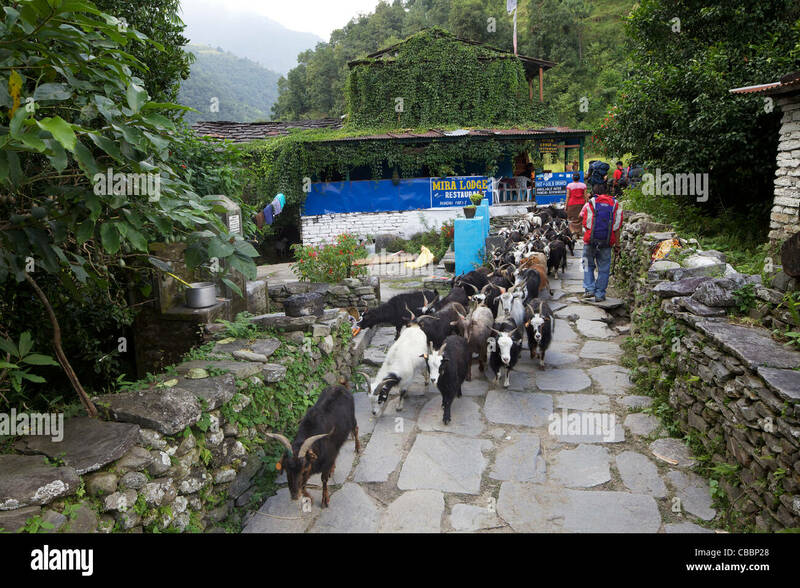 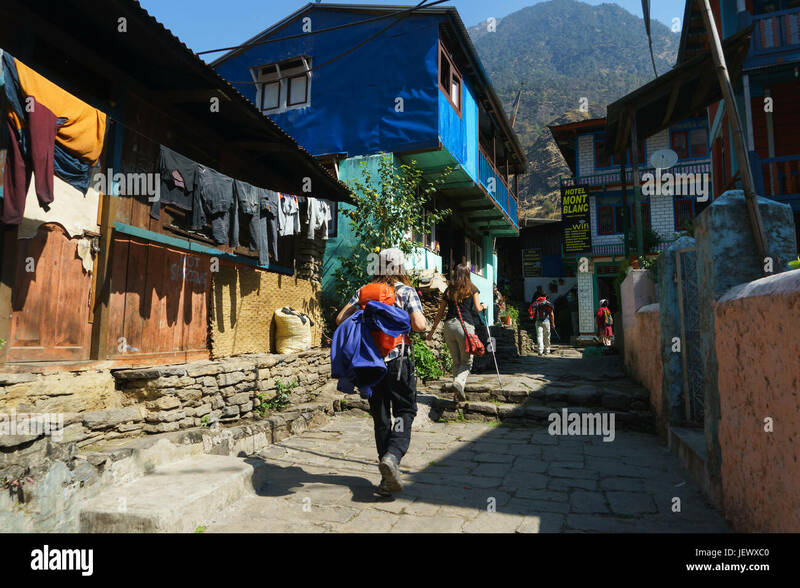 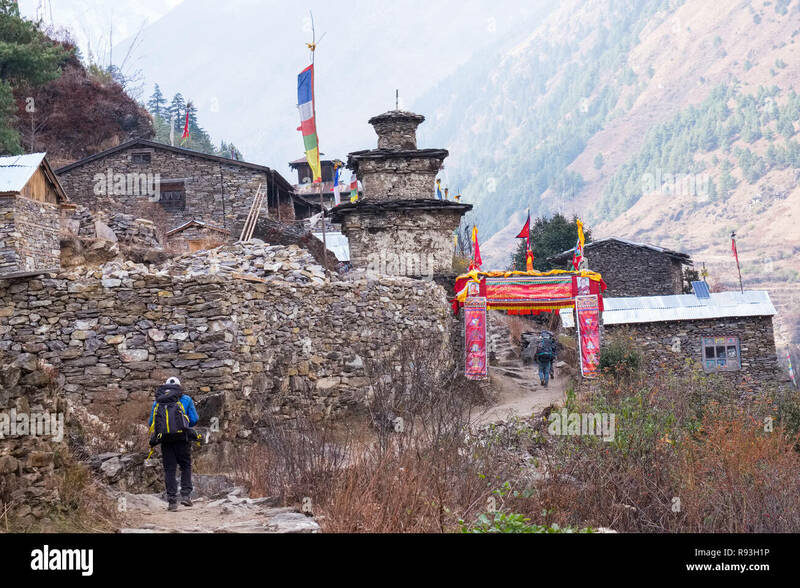 Trekkers going through the village of Jagat, on the Annapurna circuit in Nepal. 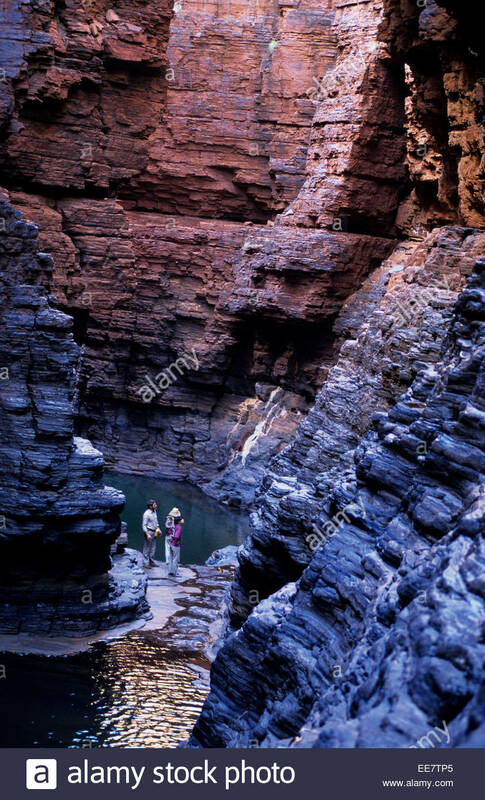 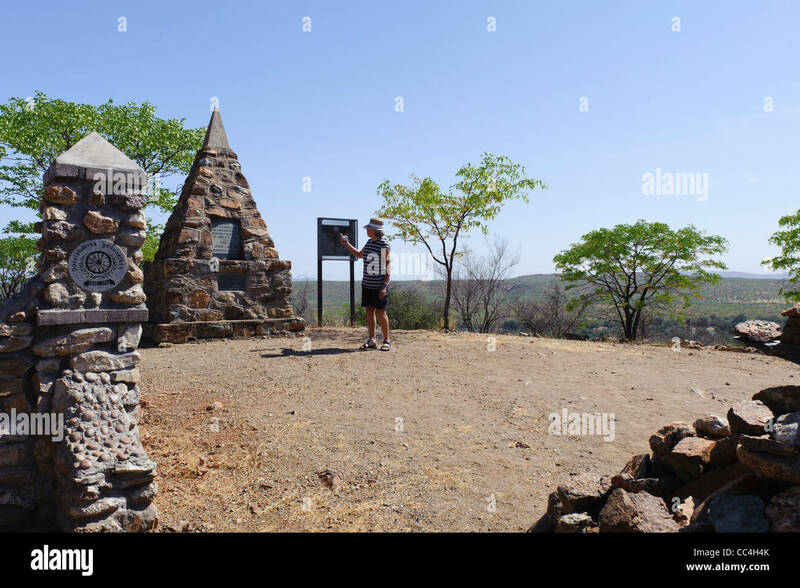 Trekkers in Karijini National Park, Australia. 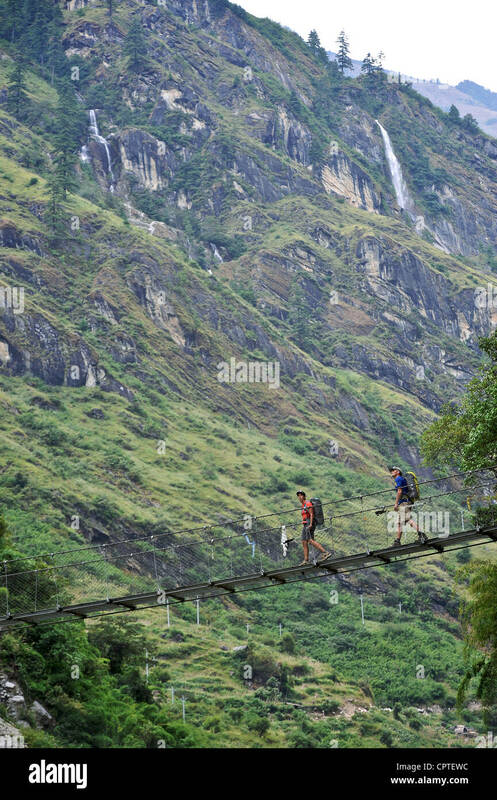 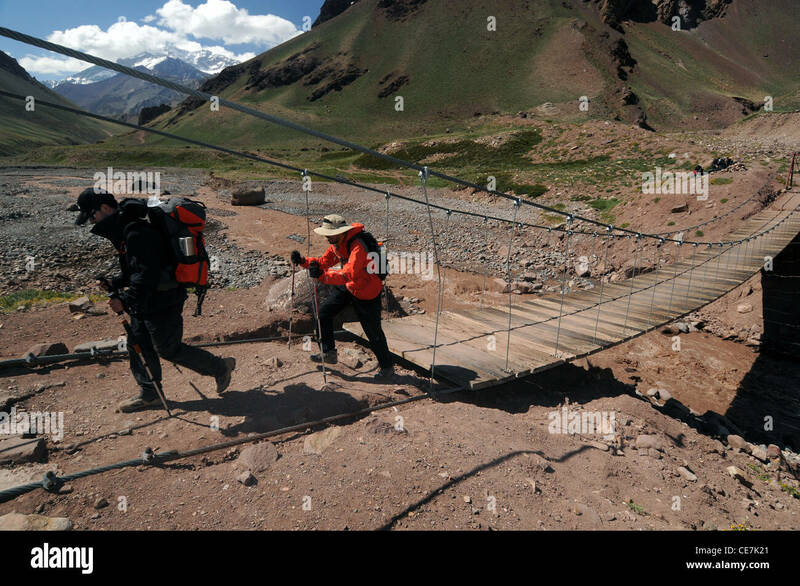 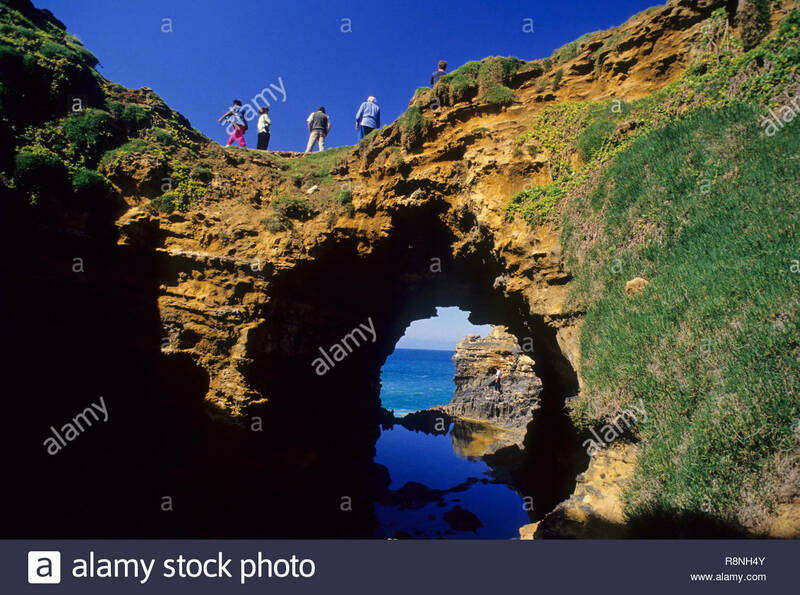 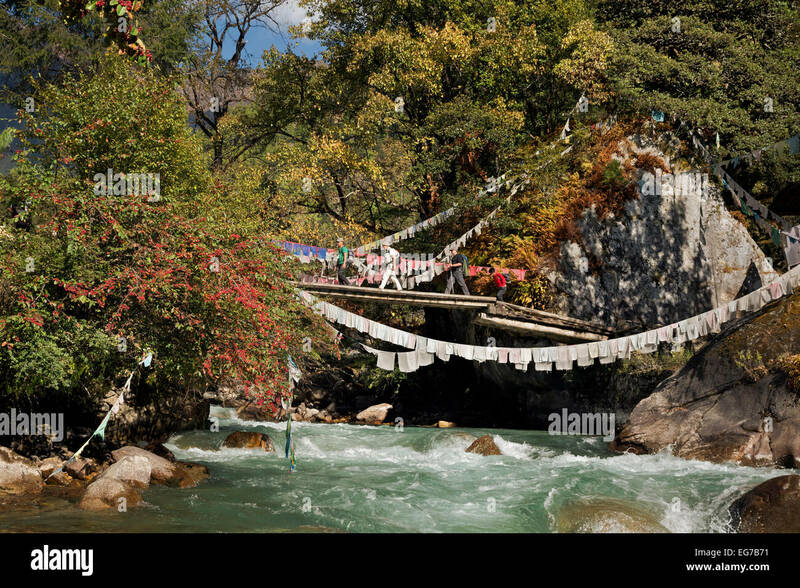 BU00163-00...BHUTAN - Trekkers crossing bridge over the Paro Chhu (river) at the town of Sharna Zampa. 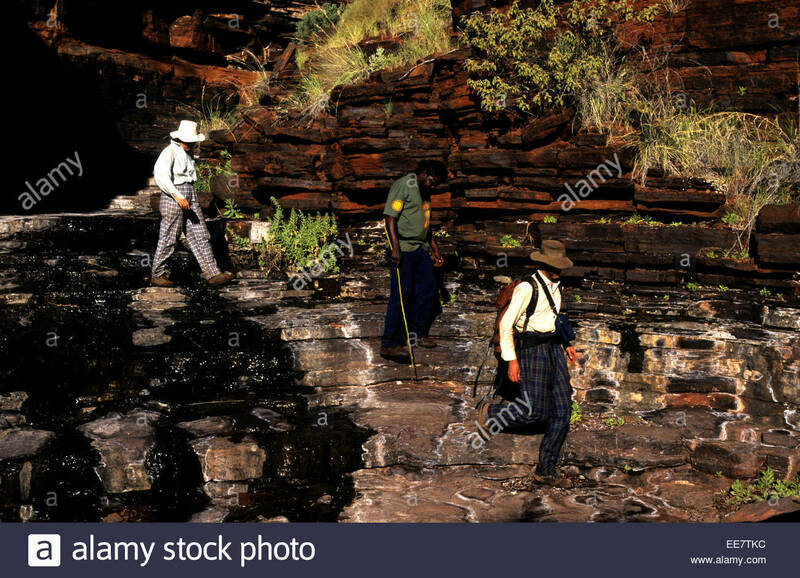 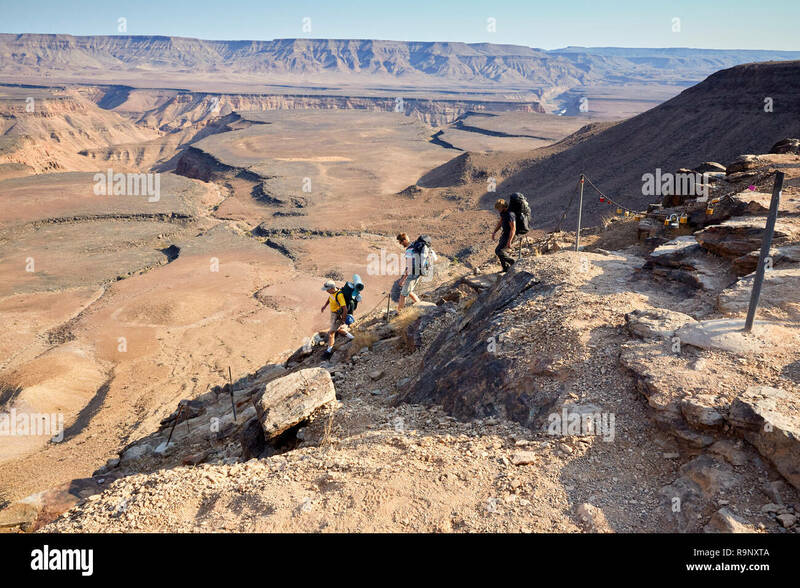 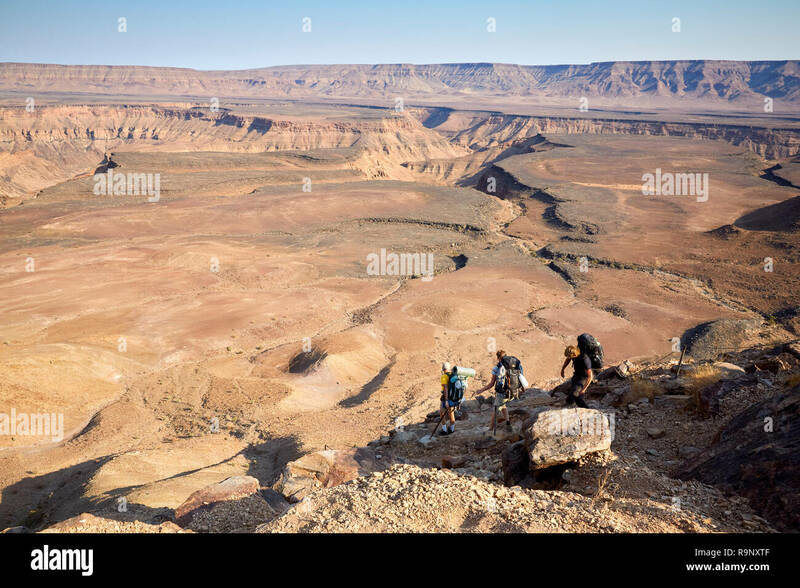 Trekkers climbing in Karijini National Park, Australia. 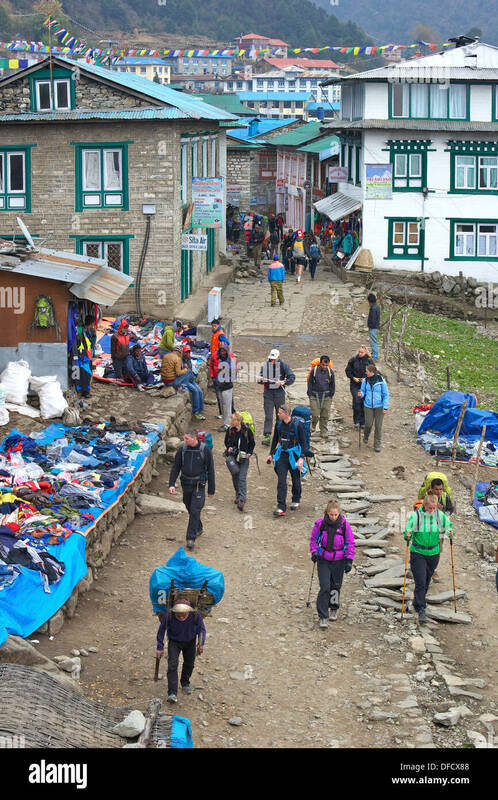 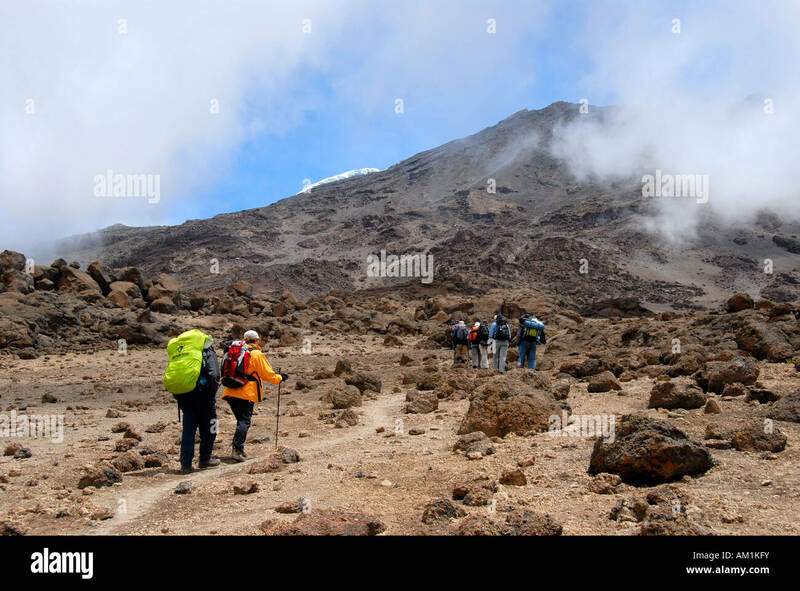 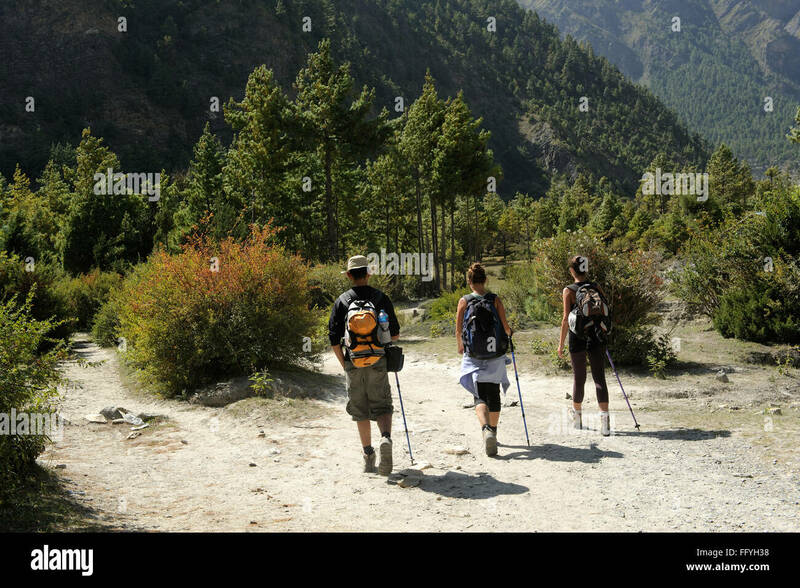 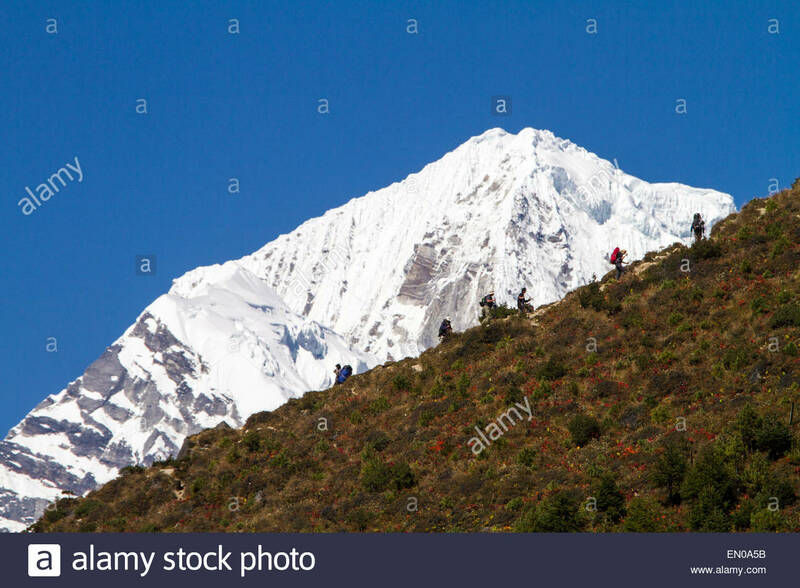 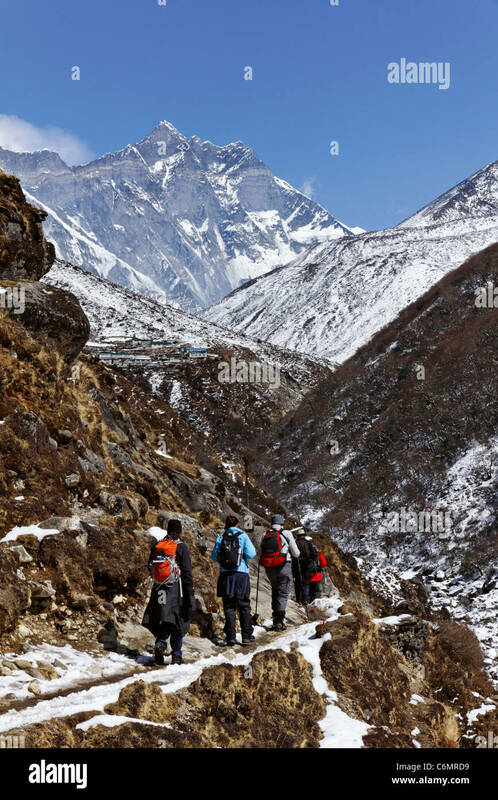 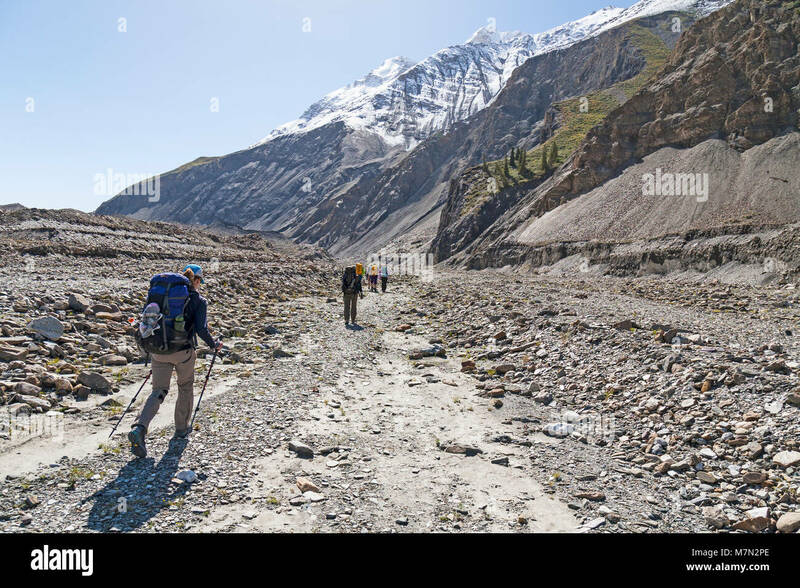 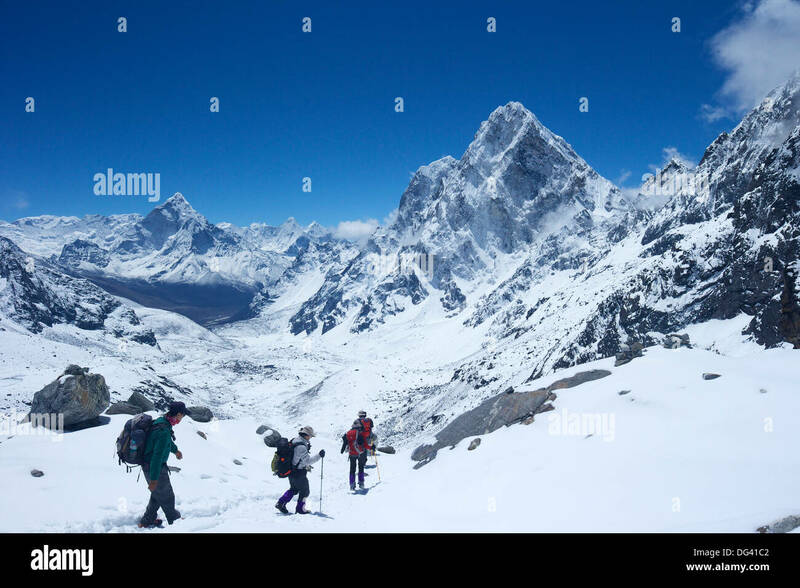 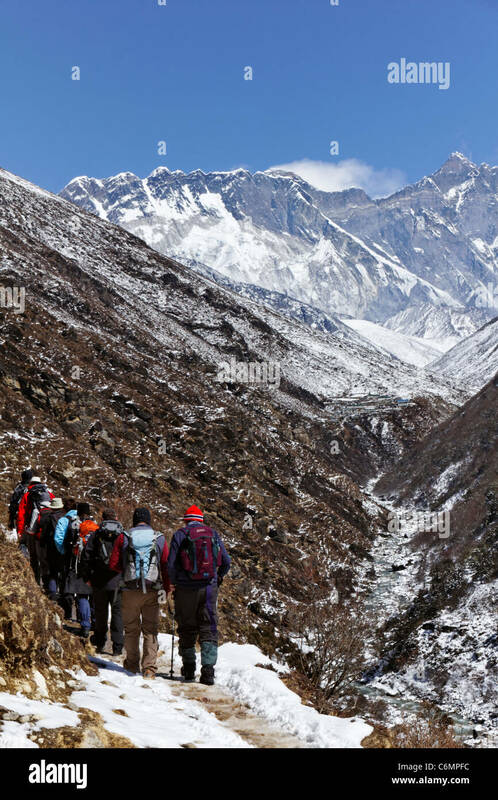 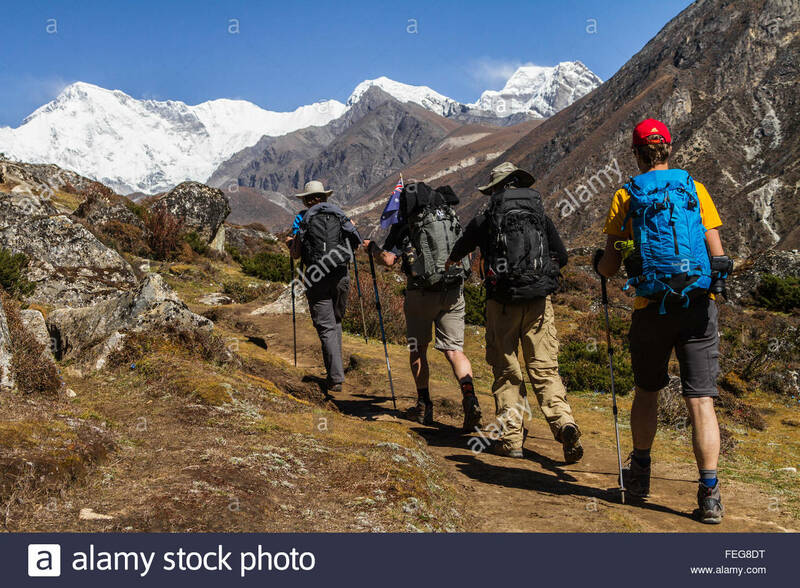 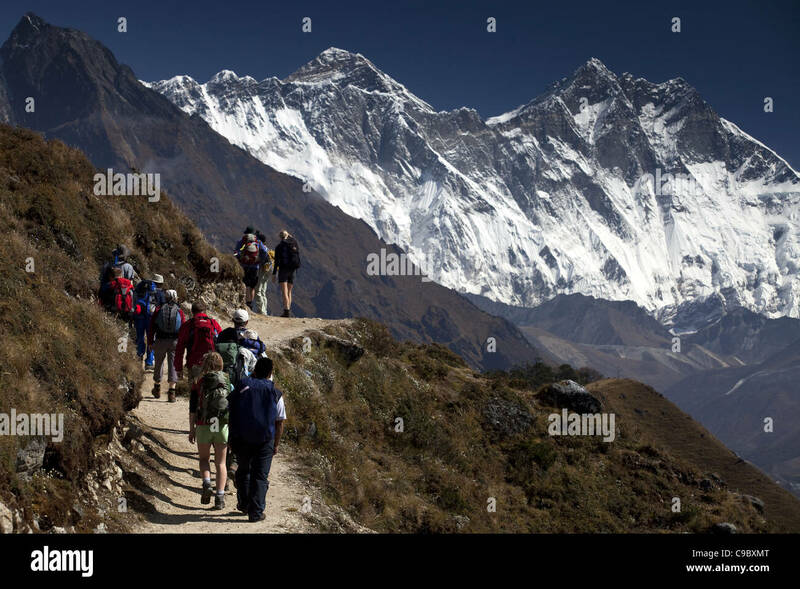 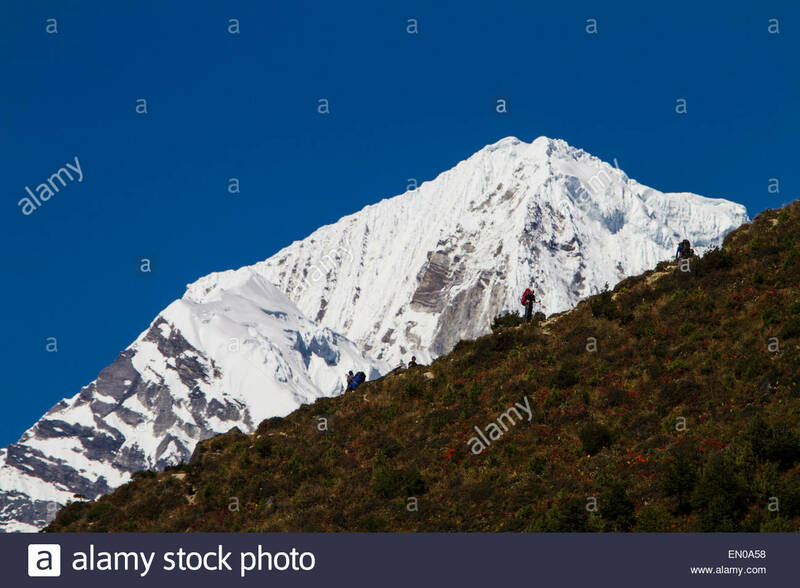 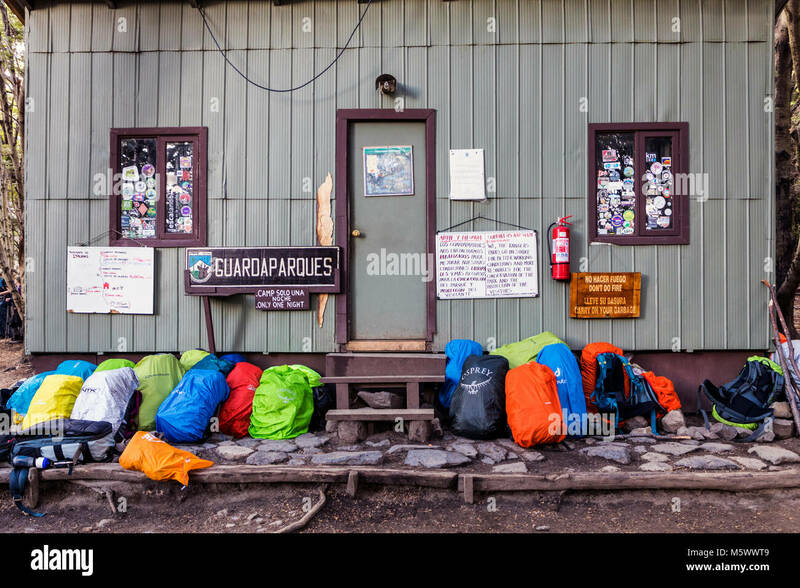 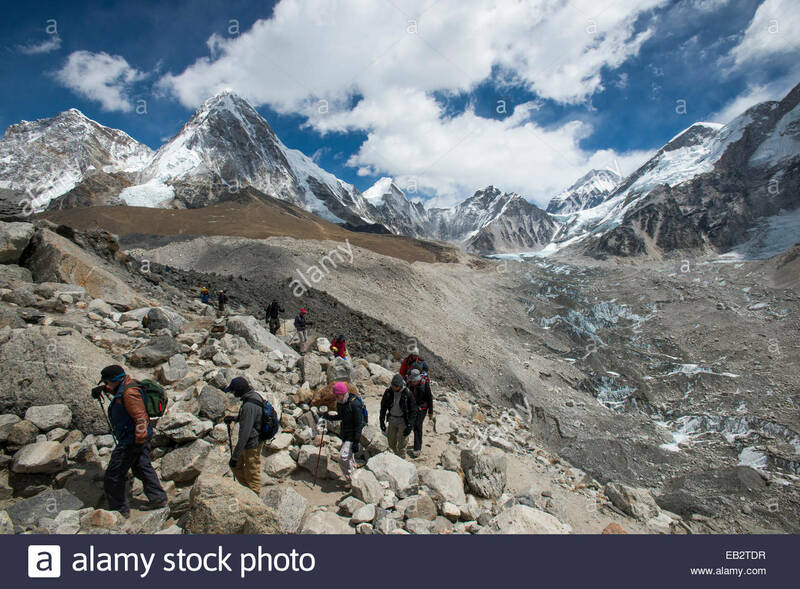 Trekkers on their way down from Annapurna base camp. 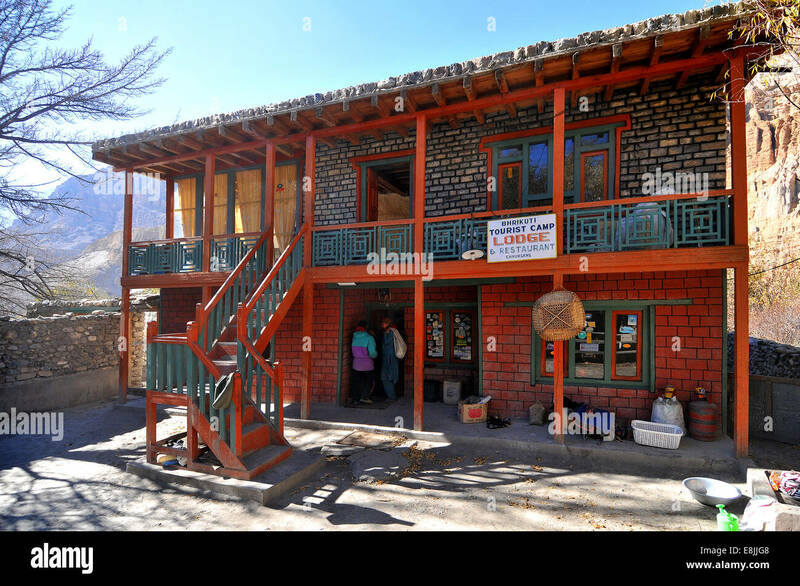 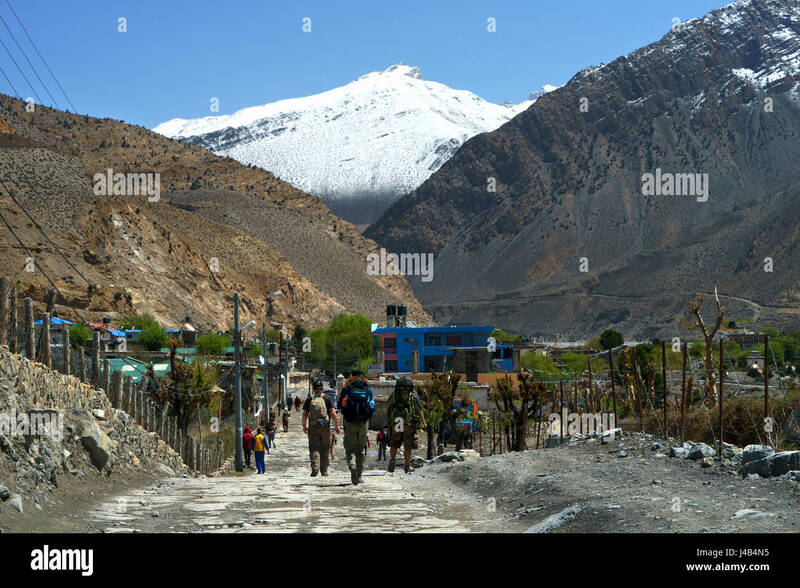 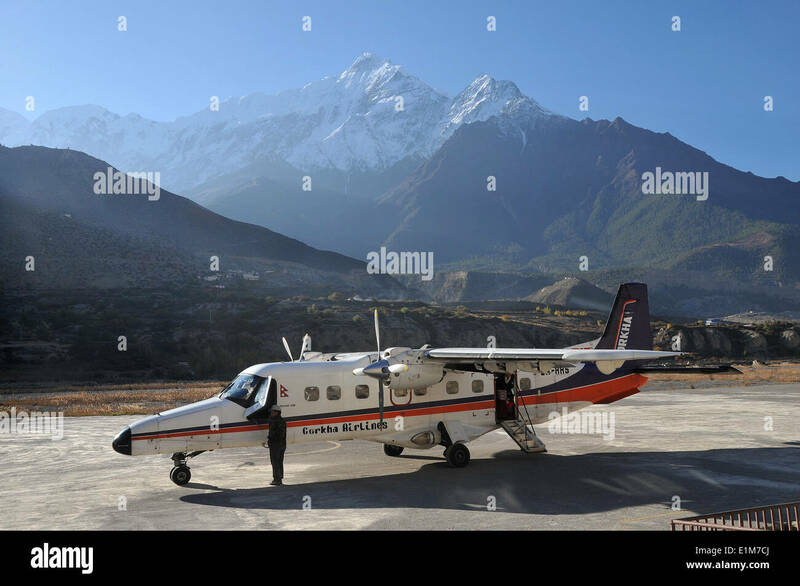 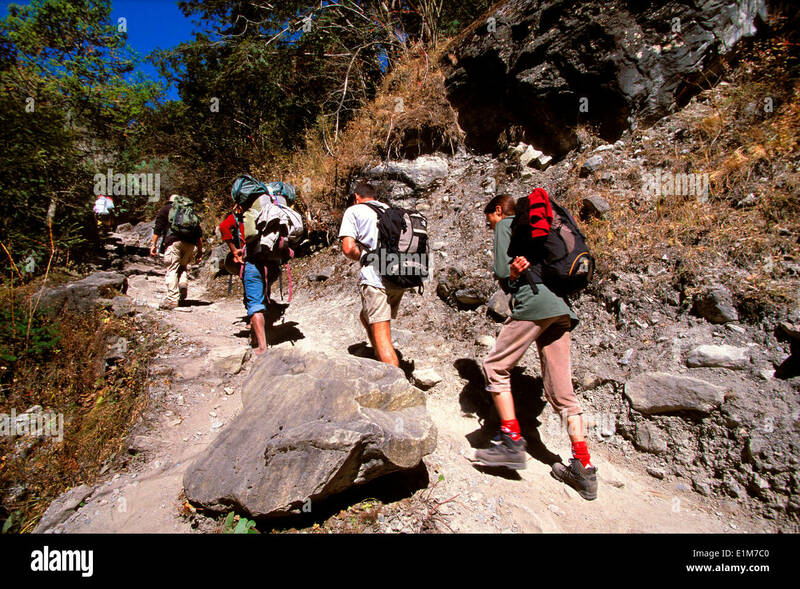 Trekkers leaving Jomsom towards the spectacular Upper Mustang region.